BOOK NOW TO ENJOY THE SPECIAL OFFER OF 10% DISCOUNT ! 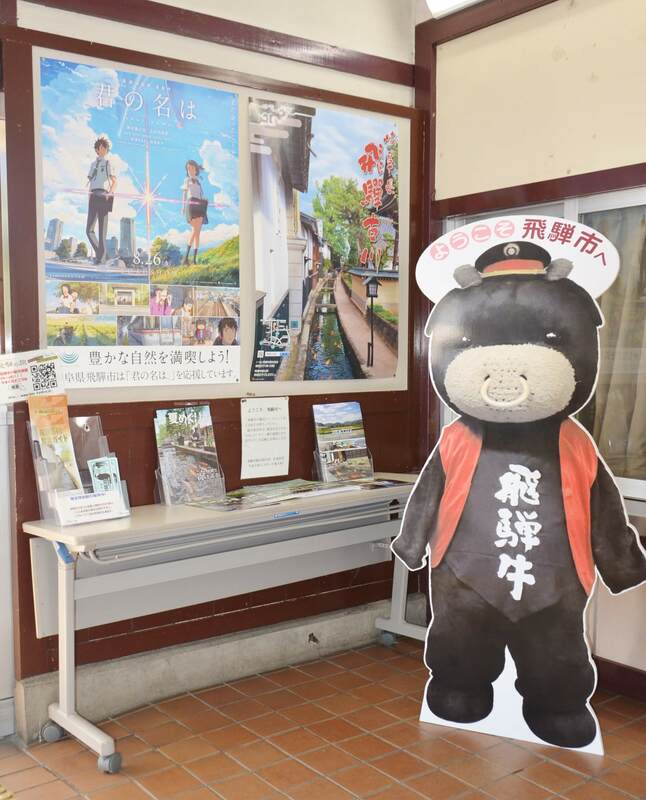 Hida Furukawa reached its peak in 2016 thanks to the animated movie “Kimi no na wa” (English title : Your name) enjoying a worldwide success; and the town became a very popular touristic site for many fans who love to visit it. Moreover, during springtime, and particularly during cherry blossoms, 9 beautiful and majestic floats parade in the streets. 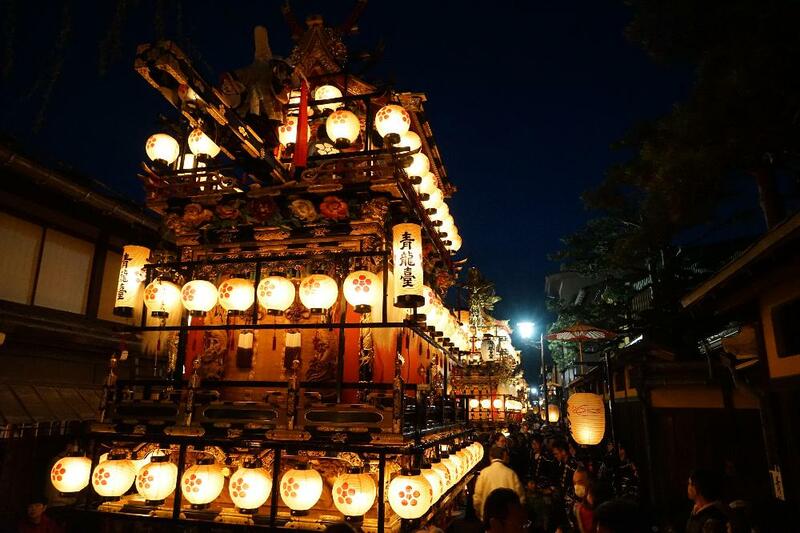 Not far from Hida is Takayama town which organizes a very similar and famous festival, but the beauty of Hida Furukawa floats should not be overshadowed. The majestic floats parade, with an elegant appearance in the lively and festive streets. Let’s enjoy those 2 festivals ! 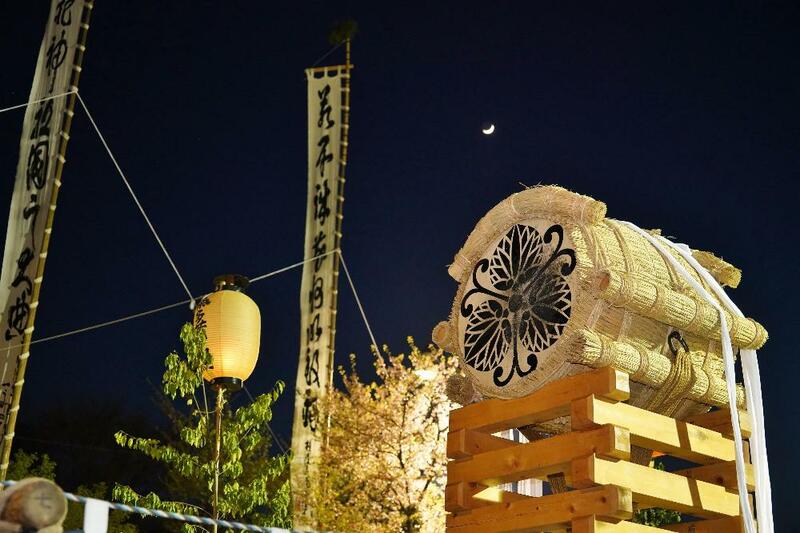 The main part of the festival takes place in the evening, and the first day is called Okoshi-daiko due to a former tradition where people played drums to wake the inhabitants of Furukawa to participate to the festival. It is one of the most important “naked festival” in Japan. (during which men wear a fundoshi, a kind of traditional underwear.) This part of the festival is well-known for its excitement and its big intensity. The atmosphere is totally different from the floats parade. Then we will head for a ryokan (traditional Japanese inn) that would be the same as the one which appears in the animated movie “Spirited away”; and we will go to see the hot springs where monkeys love to bathe. Then we will go to the village of Shirakawago that is one of the three major national treasures and to Kanazawa where tradition and modernisation are in a perfect harmmony. 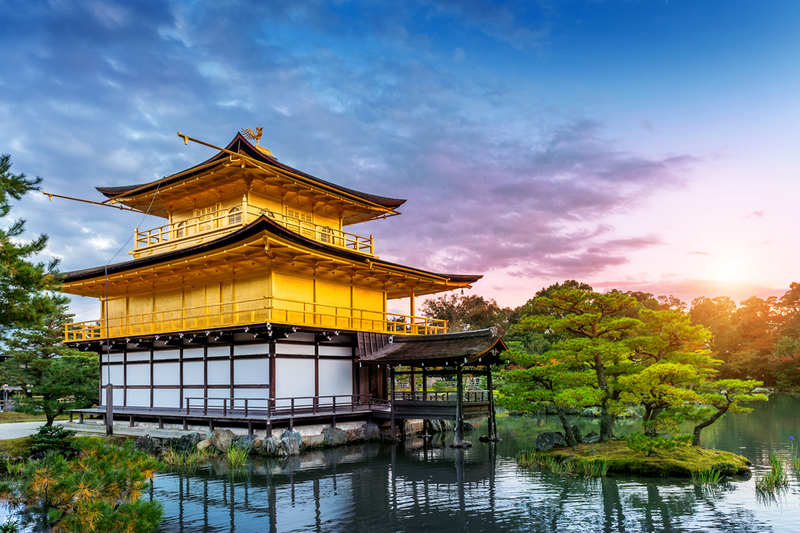 The tour ends in Kyoto where you will spend 2 nights, then you are free to decide to go to Osaka, to go back to Tokyo or to continue your trip to the west. *It is possible to pursue your stay in Kyoto. Thank you for contact us in the extra space on the booking page. Regarding the Shinkansen tickets (Tokyo or other cities) for the extended stay, or the booking of a travel for Osaka airport, please contact us. Ideas of activities to enjoy before the day of departure. 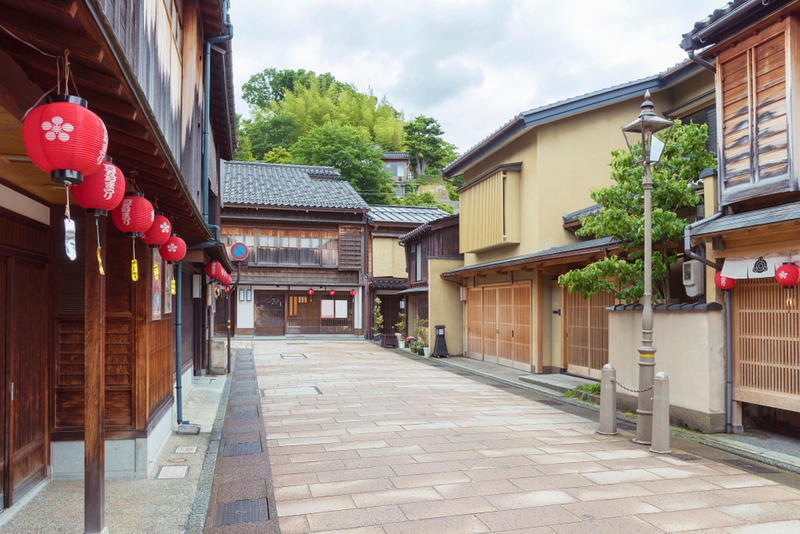 Only 30 minutes from Tokyo, the small town “Kawagoe” is the perfect place to pass one pleasant day and learning about the architecture of the old capital of Japan having the name of Edo (from 1603 to 1867). 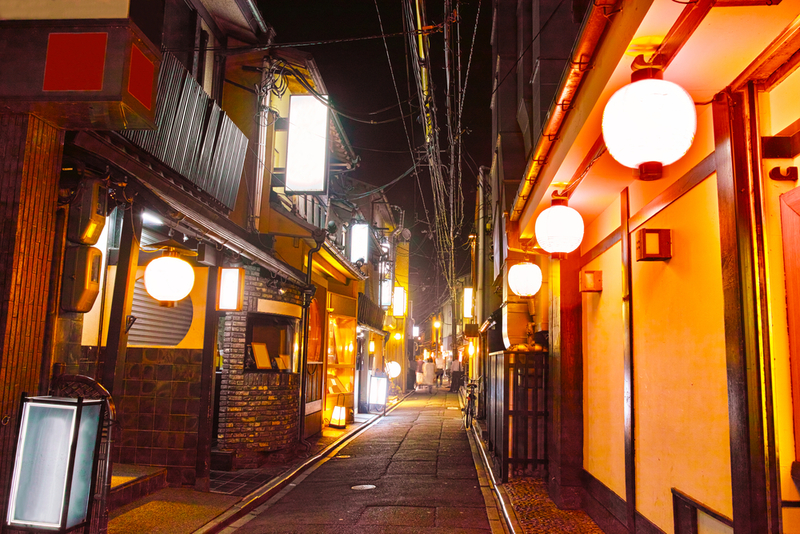 One of the very representative streets in the ancient atmosphere is the street of warehouses, “Kurazukuri no machinami” in Japanese, a lane of the traditional buildings, of which the solid construction being fire proof (there was a big fire in Kawagoe a few centuries ago). 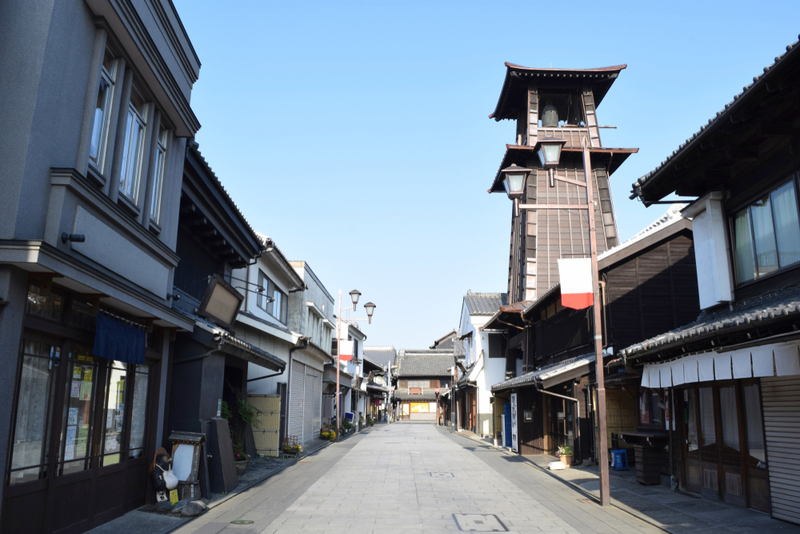 You would see the old bell tower in wood “Toki no kane”, “the bell of the time”, and you might go to the famous “Kashiya Yokocho”, the street of sweets. In order to know further about the interior of the traditional Japanese houses, it is recommended to make a visit to the Honmaru Goten of Kawagoe castle surrounded by magnificent gardens. The little town of Nagatoro is located in the Chichibu district, in the centre of the prefecture of Saitama, in the north of Tokyo. It is easily accessible from Tokyo and you could find the beauty of nature in Japanese countryside, along the bank of Arakawa river, surrounded by mountains and forests. Being beautiful in each season, but it is especially appreciated in autumn, as we say in Japanese, “Kôyô”, the autumn coloured foliage. 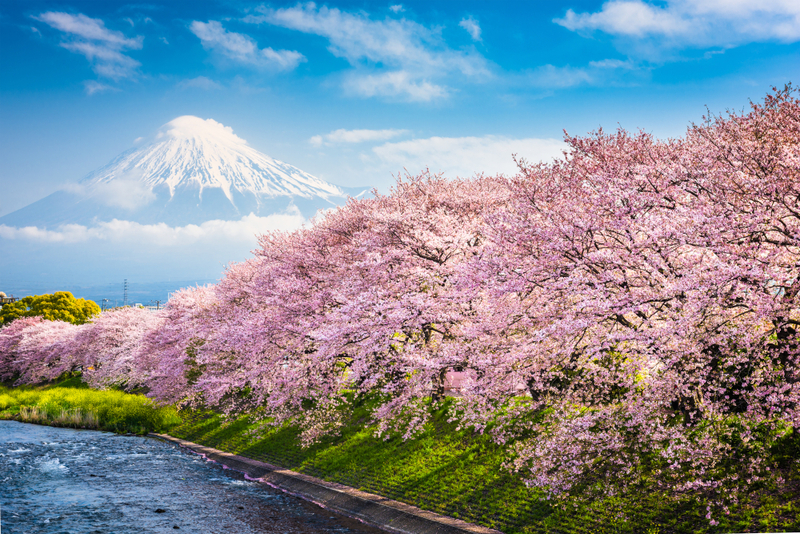 In spring time, around mid-April, it is fantastic to visit Nagatoro which has been classed among top 100 best sites of Japan for cherry blossoms. Yayoi Kusama has been the leader of the Japanese contemporary art as her famous work:"Infinity Mirror Room - Phalli's Field" and "pumpkin sculptures". 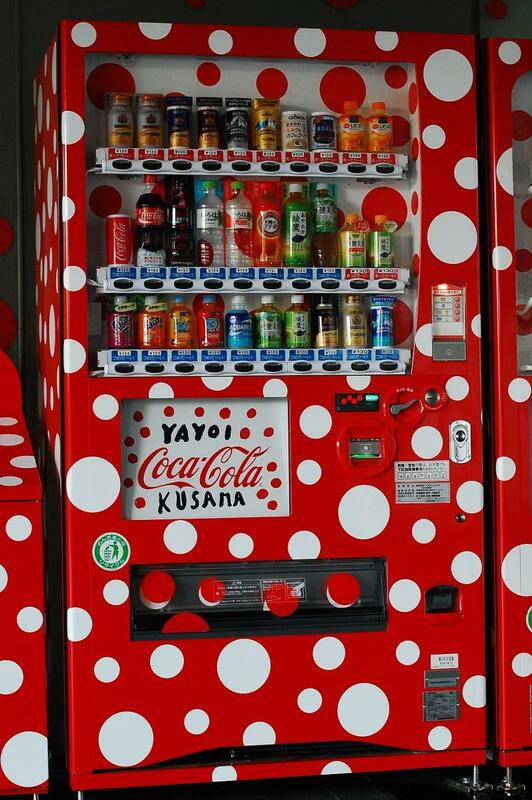 If you want to appreciate her works, "YAYOI KUSAMA MUSEUM" in Shinjuku is the place to visit. Not only her works are on permanent exhibit, but also rotating exhibits are held several times in a year. 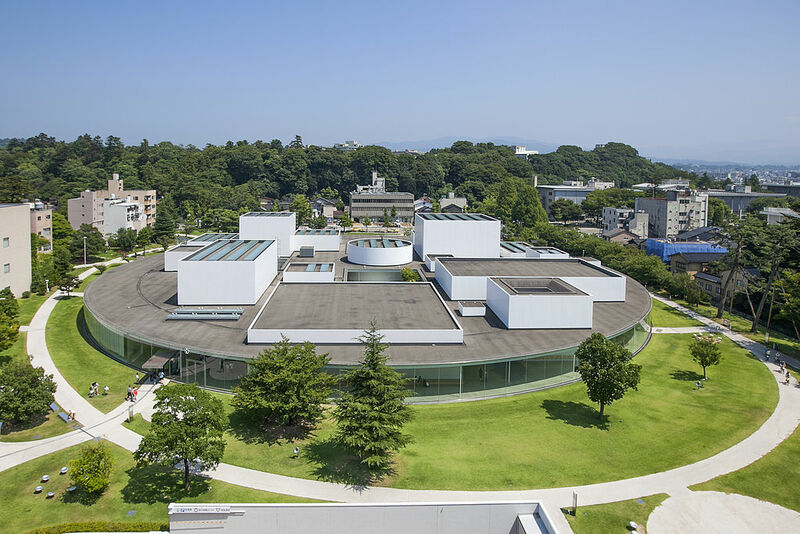 The museum provides an opportunity that visitors can feel the breeze of the represent artist of the Japanese contemporary art. Tickets are not available on the door, all tickets must be purchased in advance only through the museum’s website. If you arrive at Tokyo by an international flight on this day, you could take the shuttle from the airport to go directly to the hotel. Please go to the section "Ikebukuro, Mejiro, Kudan, Korakuen" and to "Tokyo dome hotel" in the official web site of "Airport limousine" . 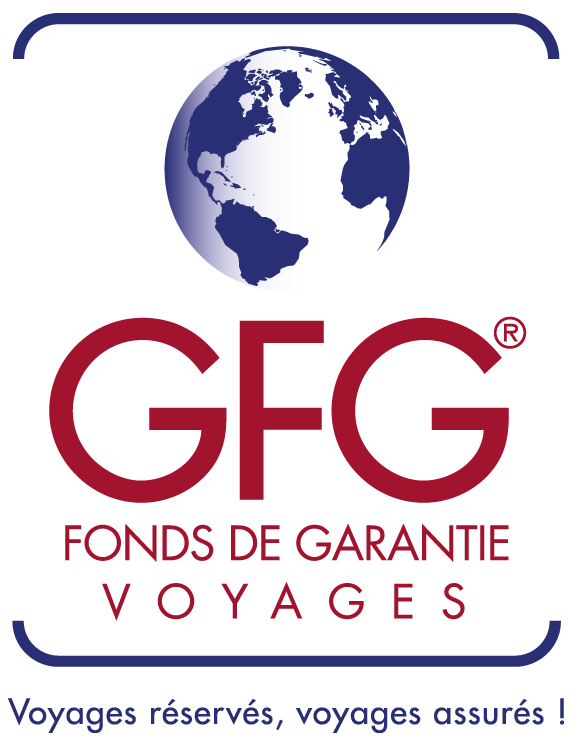 * The transportation fees from the airport to the hotel is not included in the tour price. Thank you for doing the check-in yourself. (The check-in is possible from 2pm. In case you arrive at the hotel earlier, you can leave your luggage to the hotel staff). *If you want to add few night in Tokyo before the tour, thank you for contact us in the extra space on the booking page. *The Yanaka streets (old Tokyo) and Ueno (national museum of Tokyo et Uneo park). * Discovering of Ginza area and its luxurious shops. * Shibuya district - Omotesando avenue, the japanese Champs Elysées - luxurious shops and contemporary architecture - Prada building. Do not hesitate to consult our "One-day tours" to discover other sites of interest. The Kanazawa Hokuriku Shinkansen, introduced in 2015, is designed on the connection between the ancient traditional culture and the future, the “Wa future” project. Its appearance is a combination between two important designed structures, the ancient traditional japanese colour in harmony with the landscape along the railroad, and the high speed operation while having a comfortable and elegant motion. The steadiness of the train is remarkable, and although the train crosses mountainous areas to a speed of 260 k.p.h, it reduces vibrations and makes the travel be as relaxed as possible. Obuse is located north of the Nagano Prefecture and the smallest town of the region with a population of 11,000 inhabitants. However, more than 1.2 millions of visitors come to visit it each year. There are many museums, ancient temples and shrines, little shops selling local pastries and the town is surrounded by a quiet and wonderful scenery. In this traditional town you feel a true wellbeing. Formerly, it was a farming village which was witnessing increasing rural exodus. In order to revitalize its streets, the Hokusai Katsushika (famous japanese painter known for the art of ukiyo-e) museum was established. Hokusai will therefore be remembered as the painter who lived in Obuse for several years since he had 83. At this age, it was the first time he came to Obuse to visit his old friend, Kozan Takai, a wealthy farmer settled in the town for a long time. Takai established a workshop in his house for Hokusai. Hokusai came back to Obuse in 1844 until 1848. He passed away in Edo, age 90. Hokusai was very famous and renowned for its remarkable work but also for his very particular personality, and many people though he was crazy, and totally uncaring on money. However, Hokusai was completely serene when he lived in Obuse. Hokusai is well-known for his beautiful engravings “Ukiyoe”, and he was also a great painter. You could admire in Obuse, among his most beautiful works. The best known in this small town are “Ryu” (the dragon), “Houou” the phoenix and “Do-to” (the furious wave), and you would not miss it. You would visit the Gansho-in temple to see the ceiling that Hokusai painted. This painting is the “Happo-Nirami no Houou” (the phoenix staring in 8 directions). This remarkable painting is 191cm x 95.5 cm, the size of 12 tatamis mats. The works of Hokusai contribute to promote the town in addition to the efforts which have either been completed to develop Obuse as we know today. Many architects play an important part in harmonizing modern life with ancient traditional buildings. Obuse spotlights its speciality, the chestnut cooked in several ways (pastries, ice creams, and a wide range of other delicious recipes). In addition, the infrastructures and tourism are widely developed in comparison to other small touristic towns of the same kind. 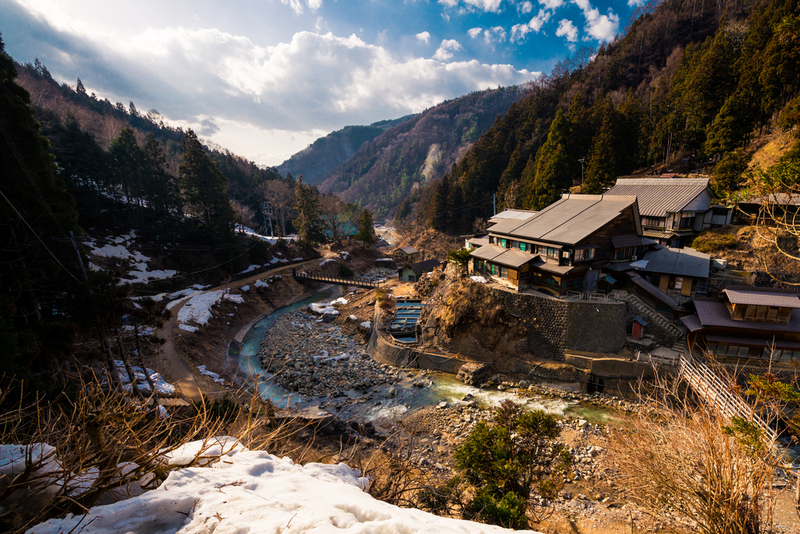 Located north of Nagano Prefecture, Shibu Onsen is part of Yudanaka hot springs complex, situated on the other side of the mountain where stands Kusatsu Onsen. Established 1300 years ago, it was already at that time, very popular and visited by many pilgrims who headed for Zenko-ji temple. 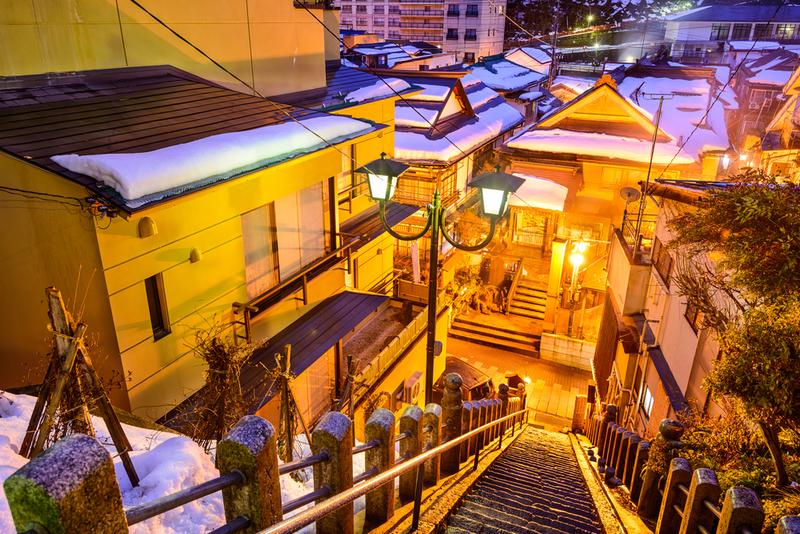 Shibu Onsen has been visited by many great men during the Edo period as the famous painter, Hokusai Katsushika. Nowadays, this kind of isolated places mostly falls into disuse, but Yudanaka remains popular. 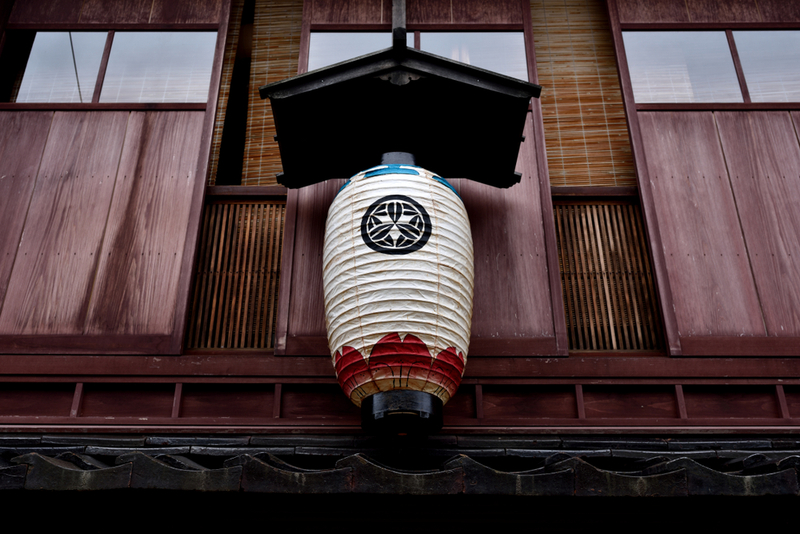 There is a wide range of accommodations type like hotels, or ryokan (traditional Japanese hostel), and Shibu onsen always reflects the ancient and the typical atmosphere of old japan, with its paved roads and wooden buildings standing into a perfect harmony. Shibu Onsen has rich spring water resources. Indeed, it broads 37 water sources for 35 hotels and ryokans. It is one of the most important and rich hot springs in entire Japan. Indeed, it says that if you dig a hole somewhere in Shibu onsen, water should emerge instantly. You could enjoy a rest in one of the high quality onsen called “kake Nagashi” where the water emerges directly from the spring. 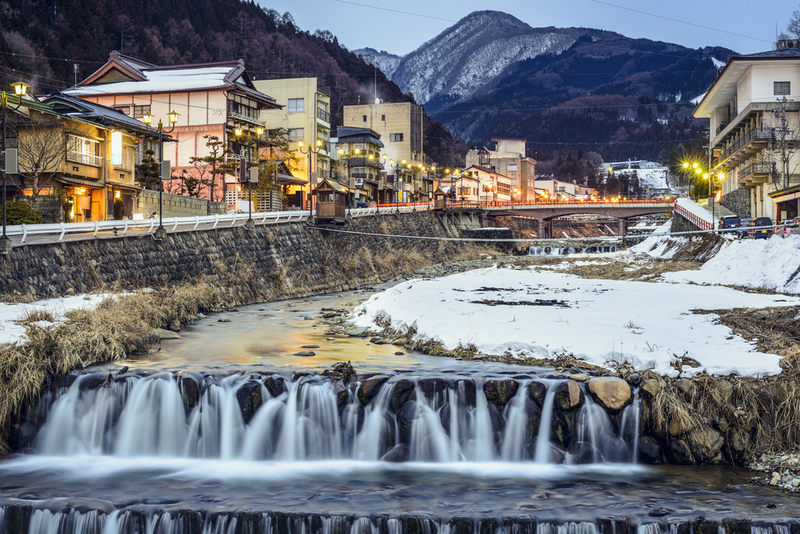 As the other hot springs in Japan, you could enjoy onsen situated inside or outside of the hotels. 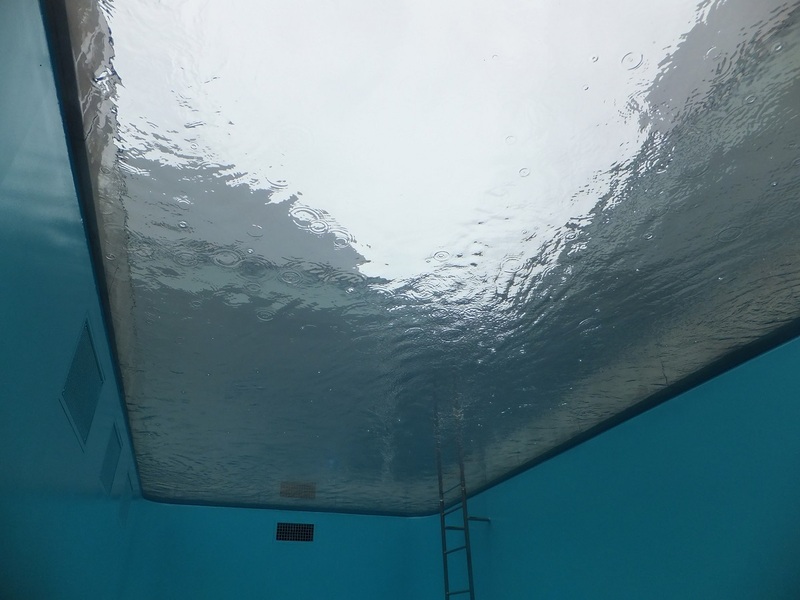 It stands 9 different public baths that you could try. It is called in japanese “9(Kyu) tou meguri.” All the 9 onsens are free, and with no employees so the onsen are equipped with automatic locking doors. If you stay in an accommodation in Shibu Onsen, you could borrow the key at the hotel front desk. 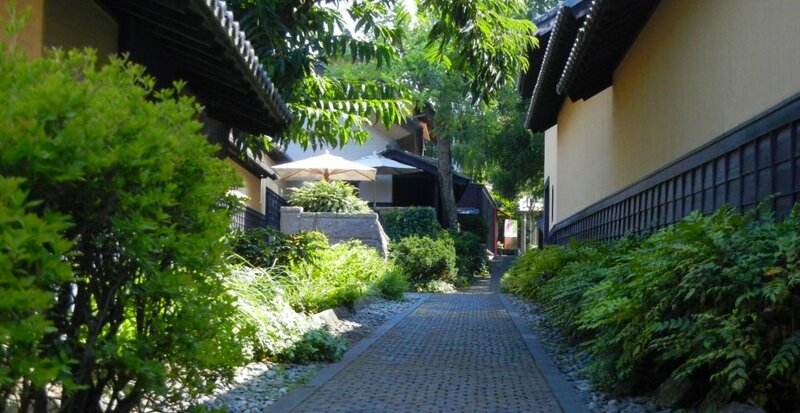 You and only the Shibu onsen inhabitants possess the key. In conclusion, the 9 baths are a privilege that you would not miss ! 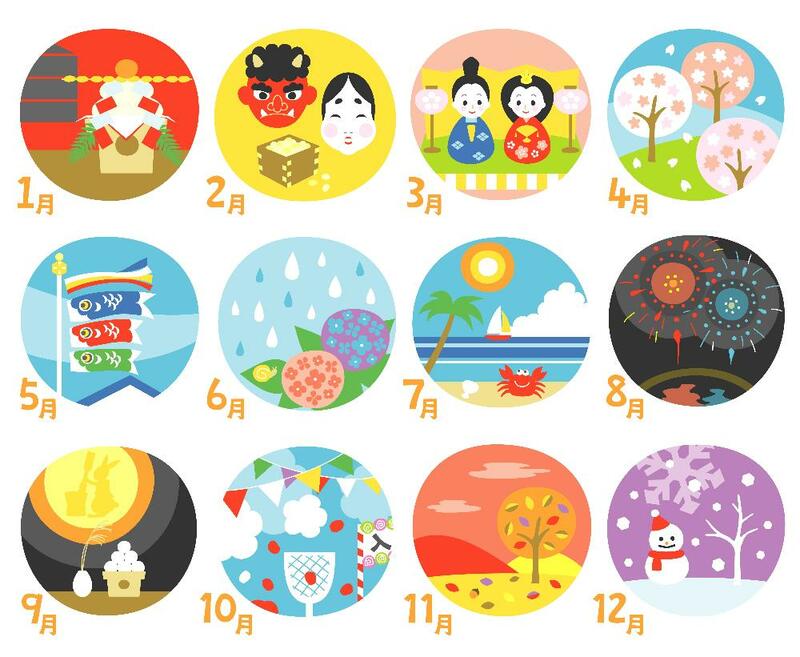 (the onsen number 9 is the biggest and also open to public for 500 yens). This Ryokan (traditional Japanese accommodation) inspired one of the famous scenes of the Hayao Miyazaki’s animated movie “Spirited Away”. 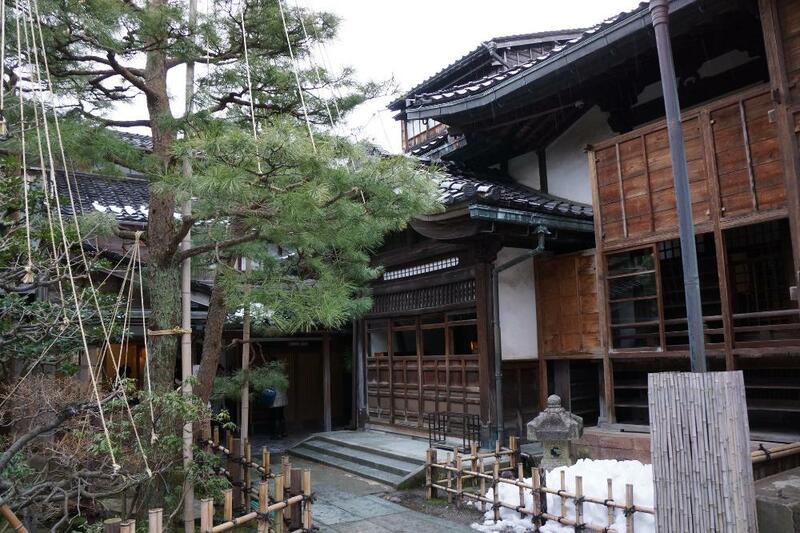 This 4 floors Ryokan built in wood is on the list of the national cultural heritage. It has more than 260 years of history. At this time, the owner travelled with his carpenters in entire Japan. They learned a lot about building methods and got some good experience. When they went back to Shibu, they were able to build this beautiful ryokan. Now you could admire in the entire building, numerous remains and drawings connect to this story. Do not miss the free guided visit at 5:30 pm to discover all the secrets of Kanaguya. 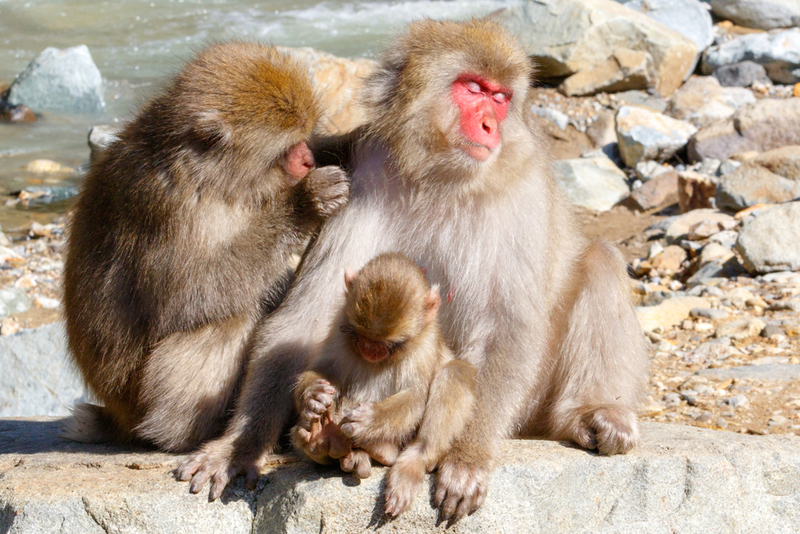 * L'excursion to the Snow monkey park is optional. Please ask the tour leader for the participation. 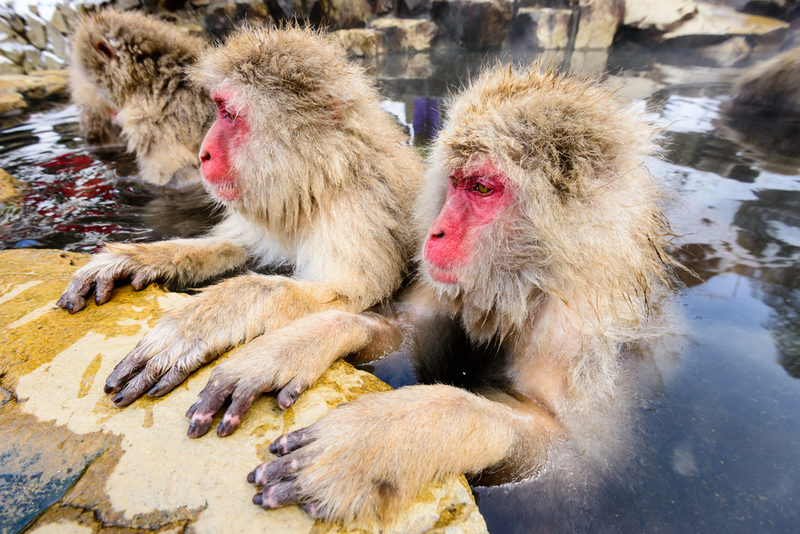 Into the heart of Yudanaka onsen is the wild snow monkey park. It is the only park where you could observe wild monkeys taking their bath. Consequently, it attracts many visitors, notably from abroad. This picture of these animals taking their bath quietly is well known in the entire world and many tourists aim to visit it. In Asia, many countries with high concentration of wild monkeys are facing different issues regarding the aggressive behaviour that monkeys have against tourists. In this park, it is strictly forbidden to feed animals and there is a lot of other rules set in order to prevent that kind of issues. Therefore, monkeys are not concerned with visitors and live peacefully in their natural habitat. The park warden carries for wild monkeys who use to come into the park where they are admired by visitors. (they are wild animals who used to live in the mountain and although a lot of them come in the park, it could be possible not to have the chance of seeing them). 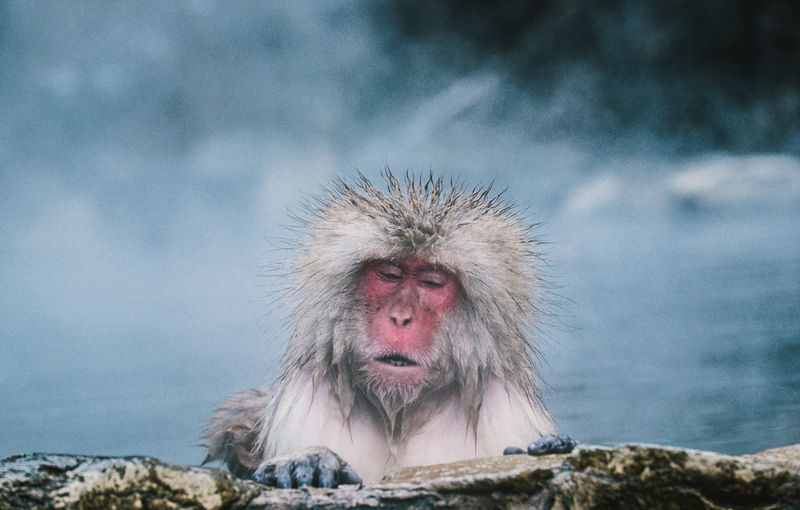 Many of them love to come in the park during winter but it could be unusual to see them relaxing in hot springs during summer, except maybe during the coolest early mornings. This park is quite isolated and it takes about 30 minutes walk from the car park. In winter, the path could be covered with snow and it is advisable to take the right footwear to avoid slipping and to wear warm clothes. A guided visit in the park is optional. If you would rather not to participate, please enjoy free time in Shibu Onsen until departure time. 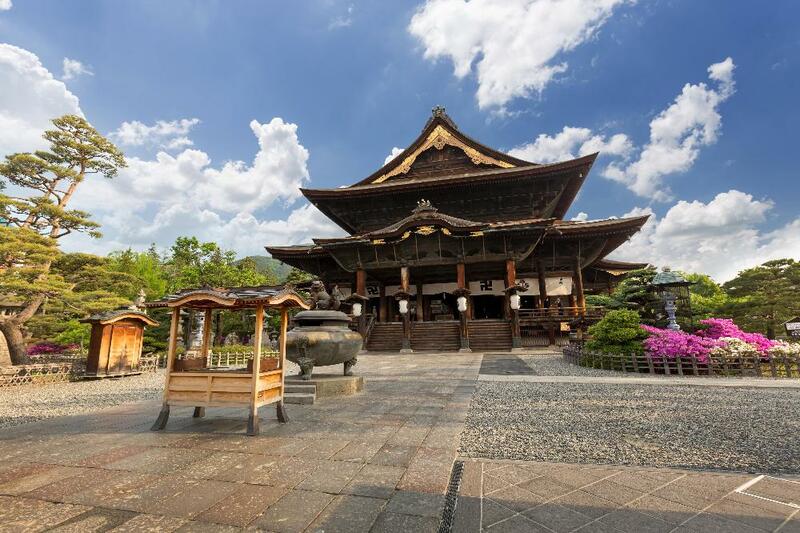 This temple is located north of Nagano Prefecture, and was founded at the 7th century. It was already established before the separation of buddhism in Japan. This temple accepts everyone without any distinction, including women, unlike least recent temples. 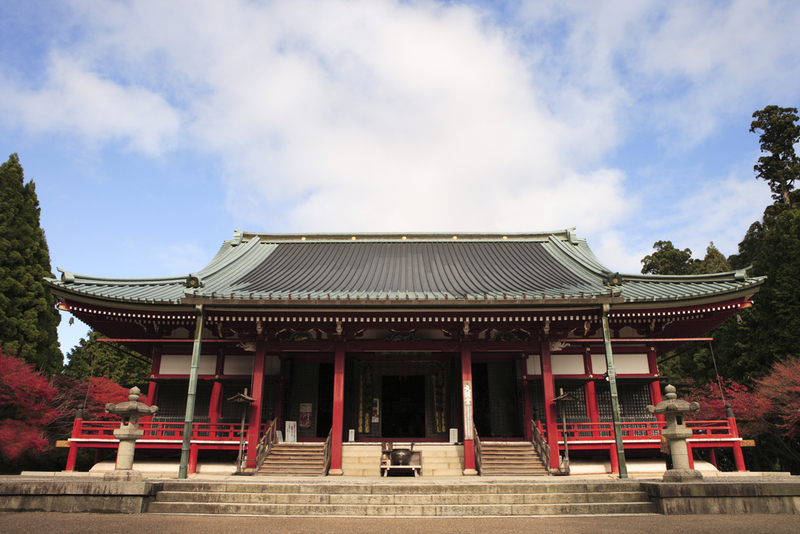 Consequently, this temple has always been visited for centuries. 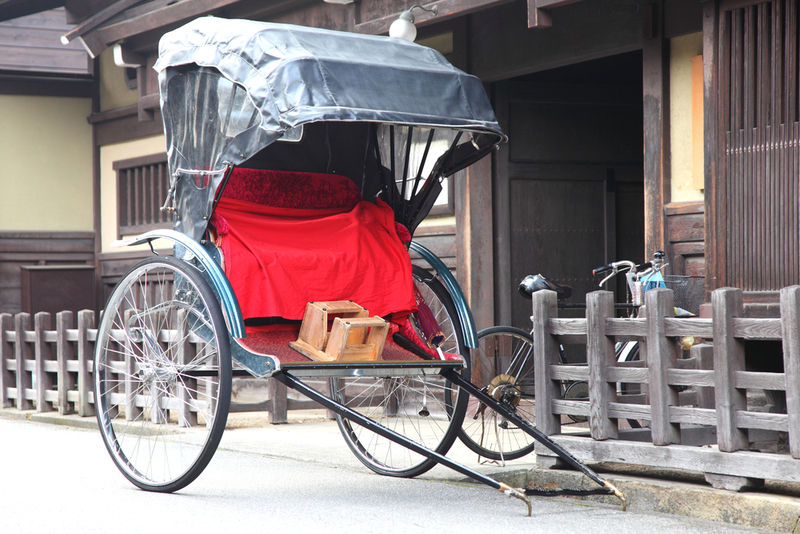 During the Edo period, local roads have been constructed and traveling has become easier than before. People began to travel into the heart of mountains in Nagano. At the end of the Edo period, Zenko-ji was a highly visited temple which allowed the city of Nagano to grow and become nowadays, the prefectural city. Into the main part of Zenkoji temple stands the statue of Amida-sanzon-zo. This is the oldest statue of Japan, and a true national treasure. Once every 7 years, during the “Gokaicho” time, a replica is shown to public because the original statue is kept preciously and even the priests of Zenko-ji are not allowed to contemplate it. Tourism in Zenko-ji is also popular due to “Okaidan-meguri” road, where visitors walk under the Ruri-dan with heads bent down, into total darkness. While they are moving along the wall, visitors are heading for the “Gokuraku no Jo-mae” (The paradise keyhole) which is under the Buddha statue. It says that if you touch it, you could place yourself in relation with Buddha to Paradise. This experience has a true connection with buddhism. Usually, people are skeptical about how this experience could have any interest, but thanks to it, we learn all the secrets of meditation and concentration. After touching the keyhole, we move into darkness, completely lost, but helped by concentration and the desire to reach the light as we wish to reach the awakening. And when we finally make it, we are dazzled by the light, relieved, and delighted by the wonders of the world around us. We realize how lucky we are to live in this world and grateful to our daylife. That is why these little road is synonymous of “Dojo”, a space for immersive learning and meditation. When you are visiting Zenko-ji temple, we highly recommend you to spend the night in a temple called in Japanese, “Shukubo”. Formerly, a Shukubo was part of a temple that welcomed pilgrims came from far away, and these people aimed for a modest meal and for spending the night in the same place where monks lived. They purified their souls and their body. Nowadays, in the same way, Shukubo welcome tourists who enjoy to spend the night in a comfortable place, the facilities and the service being improved. It is quite different from the ascetic life pilgrims used to experience before but it keeps the willingness to share the buddhist culture to visitors who stay here. There is also the opportunity to experience the Sha-Kyo (a soutra transcription) and the Sha-Butsiu. But above all, O-asa-ji is highly recommended. It means the reading of the soutra aloud by the monks in the main part of the temple. It starts between 5 am and 6:30 am. Visitors are down on their knees while receiving the benediction from the main monks, a man and a woman (no discrimination in this temple). While the monks are heading for the main part of the temple, they are praying aloud and visitors are listening to them. Il y a aussi la possibilité de faire l'expérience de Sha-kyo (transcription de soutra) et de Sha-butsu (réplication de Bouddha). Mais avant tout, l’“O-asa-ji” est très recommandé. "O-asa-ji" signifie la lecture d’un soutra à voix haute par tous les moines dans le bâtiment principal de Zenko-ji. Il commence entre 5 heures et demi et 6 heures et demi du matin. Les visiteurs en chemin vers le temple s’agenouillent et reçoivent la bénédiction un à un du moine principal homme et du moine principal femme (n’ayant aucune discrimination de sexe) s'avançant doucement vers eux. Pendant que le moines, hommes et femmes se dirigent en priant à voix haute vers le bâtiment principal, les visiteurs en chemin les écoutent. Si vous séjourner dans un temple, le guide du shukubo vous y conduira. Apres "O-asa-ji", et "O-kaidan-meguri", vous pouvez prendre votre petit-déjeuner. La participation à "O-asa-ji" n'est pas obligatoire, mais pour une fois, nous vous recommandons d'assister à cette expérience de bon matin. 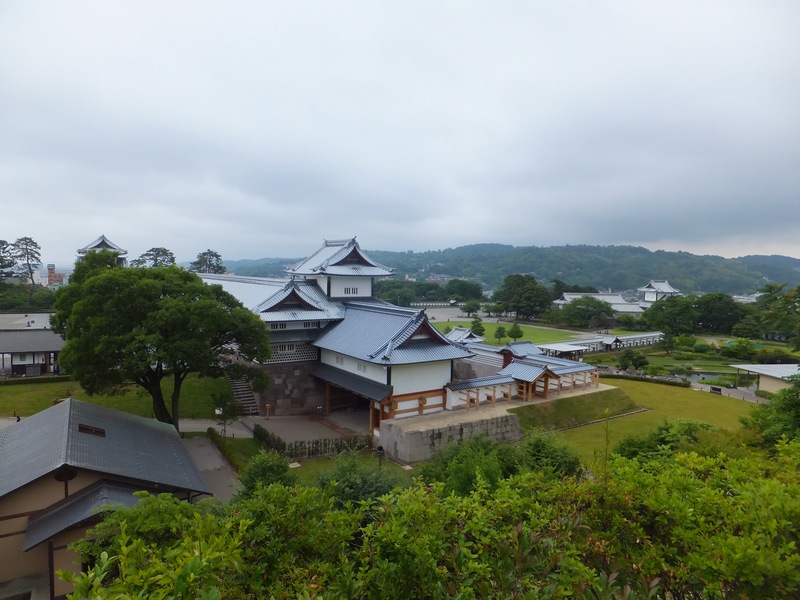 *Okaidan Meguri,Matsumoto castle, Matsumoto 1 day bus ticket included. 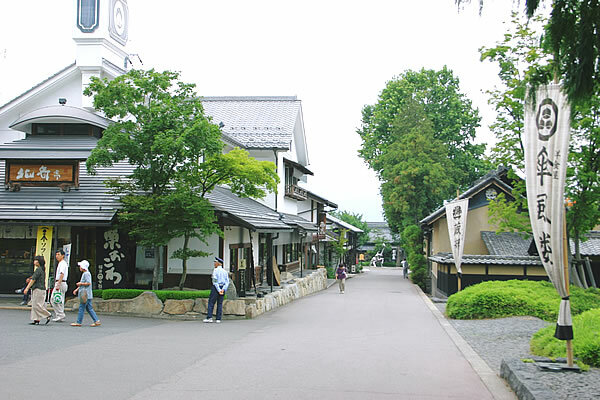 During Edo period, Matsumoto was the most affluent town of Nagano Prefecture. Located in an isolated place into the mountains, it was spared from the war and maintains its cultural and historic heritage and above all, its majestic and well preserved castle. 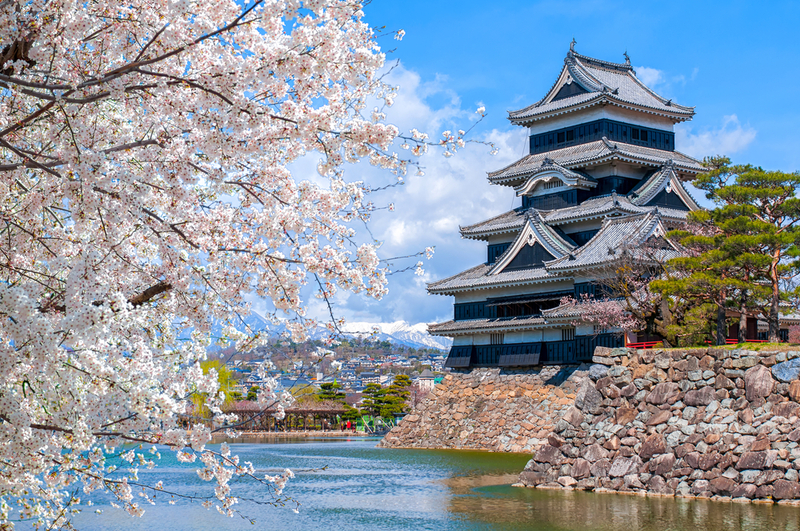 In Japan, there are 12 castles which maintain their original appearances whose 5 are registered as national treasures. 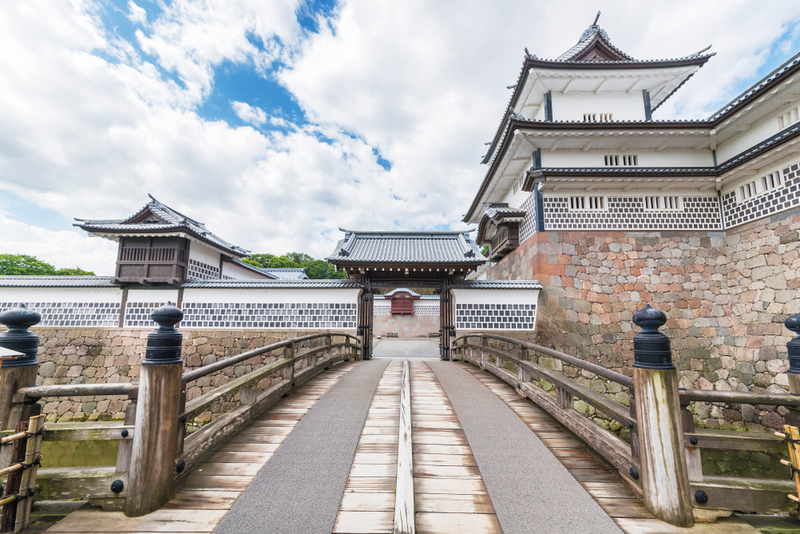 Among these are Himeji, Hinoke, Inuyama, Matsue and Matsumoto castles. The dungeon and the moats surrounding the castle are beautiful and could be compared to those of Himeji Castle. 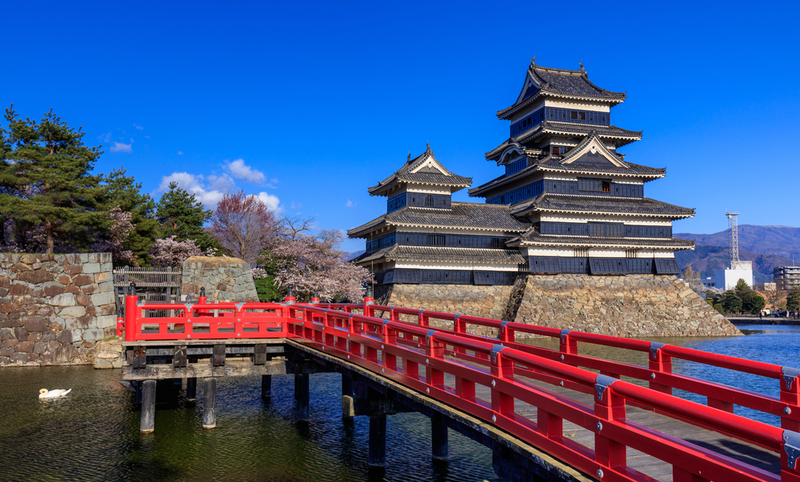 Unlike Himeji castle and many castles in Japan, Matsumoto castle is painted in black that is why it is called “Karasu jo” (The crow castle). A red bridge beautifies the 6 floors high dungeon, surrounded by the moats. If you visit the interior of the castle, you will see the impressive defensive structure and ancient arsenal. Nakamachi street is well known for its black and white wall called “Namako-kabe” and keeps the ancient Edo atmosphere. 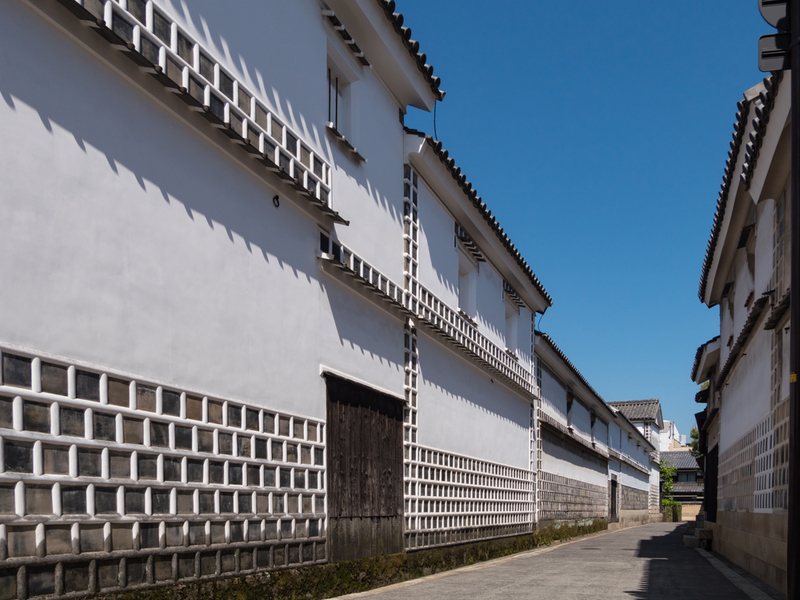 Formerly, sake brewers and kimono weavers created this walls and warehouses to avoid fires. Nowadays, the warehouses became folk art items shops, and coffee shops preserving the ancient ambiance. 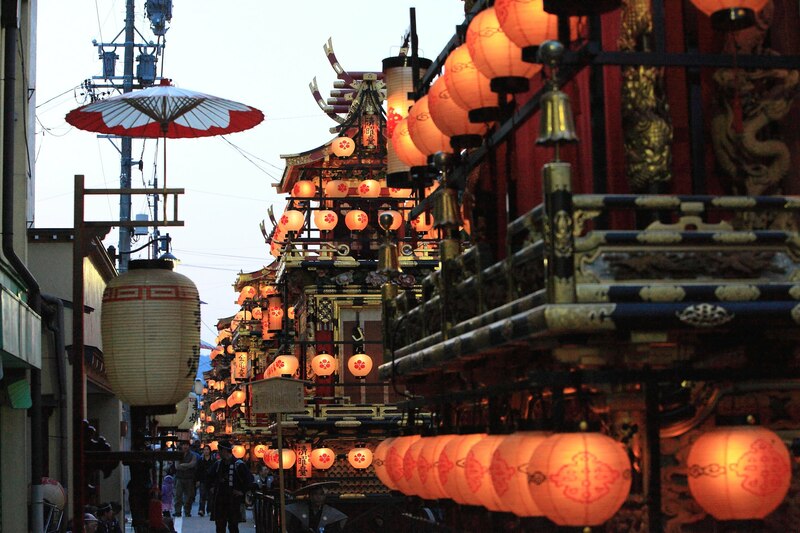 Like Nakamachi street (Nakamachi-dori), the ancient Edo appearance of Nawate attracts many visitors. 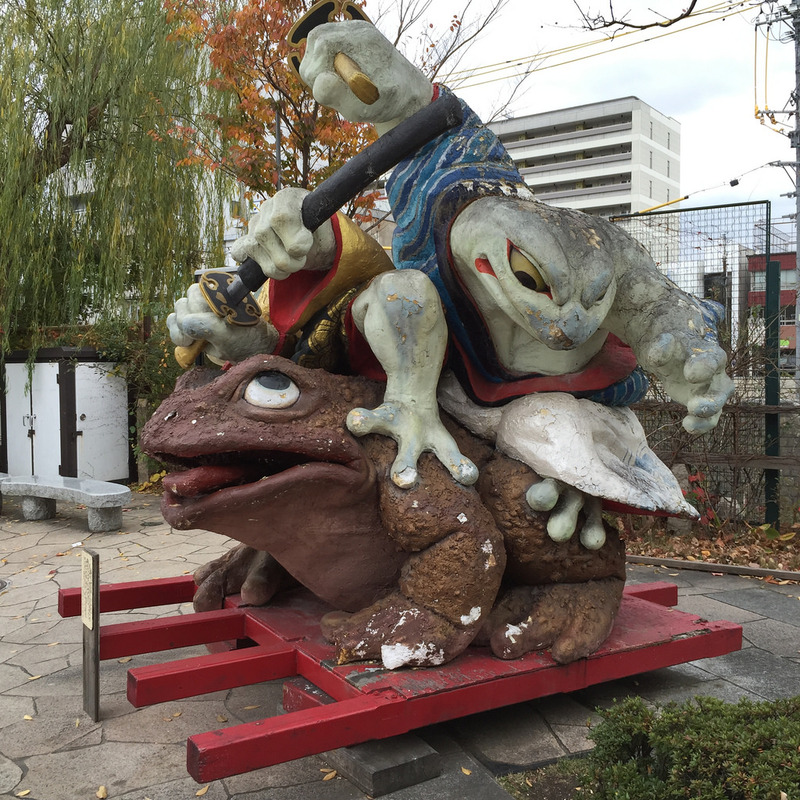 You will find many items in relation to the frog, the emblem of Matsumoto for more than 40 years. There are also many antique shops, bakeries and restaurants. 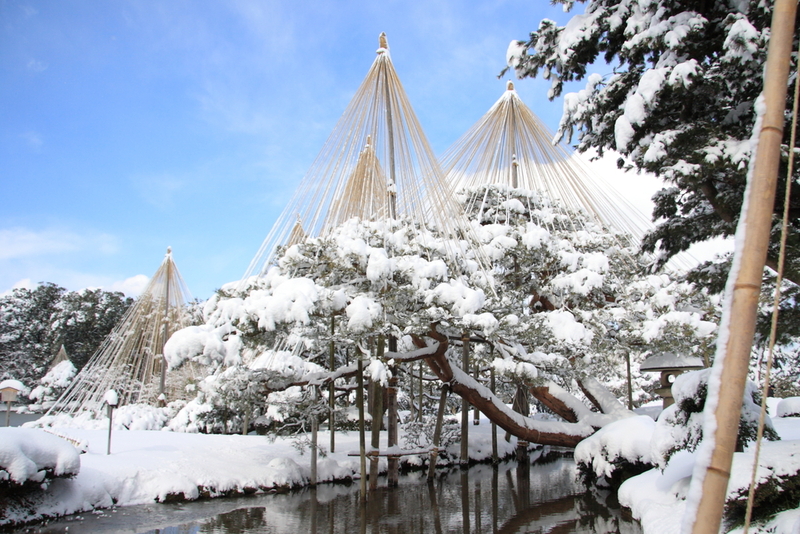 Also stands Yohashira Shrine, known as a true spiritual sanctuary where it is possible to make wishes. Matsumoto is the birthplace of the artist Yayoi Kusama, known for his “Naoshima pumpkins” and many others works of art kept in Matsumoto museum. 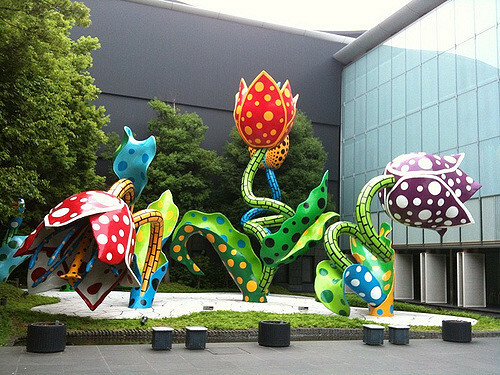 In front of the museum stands the big “Maboroshi no Hana” work of art. You will certainly notice that many of Kusama works are exposed but you will also have the opportunity to admire the work of many other artists who was born in Matsumoto. Leaving Matsumoto city in the morning for Takayama by long-distance coach. 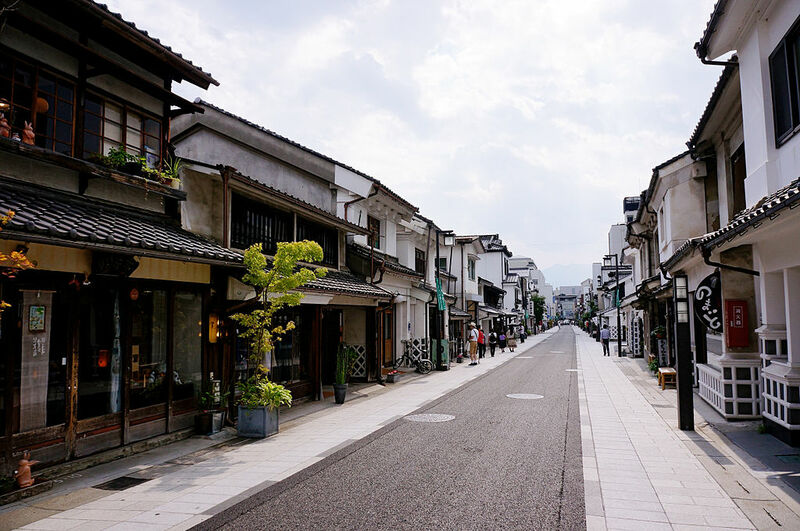 The superficie of Takayama is large as Tokyo but most of the land is mountainous so the inhabitable area is limited and the town counts about 90 000 inhabitants. A large section of the population is located in the center of the city not far from Takayama station. The place is situated west of Hida mountain chain (Northern japanese alps) including the city of Hida, Gero and Shirakawa-go. Into this wide area, the center of Takayama is called “Hida-Takayama”. Takayama developed being a transit of the route from Nagoya to Hokuriku, but snow falls and a lack of infrastructures have limited modern life. 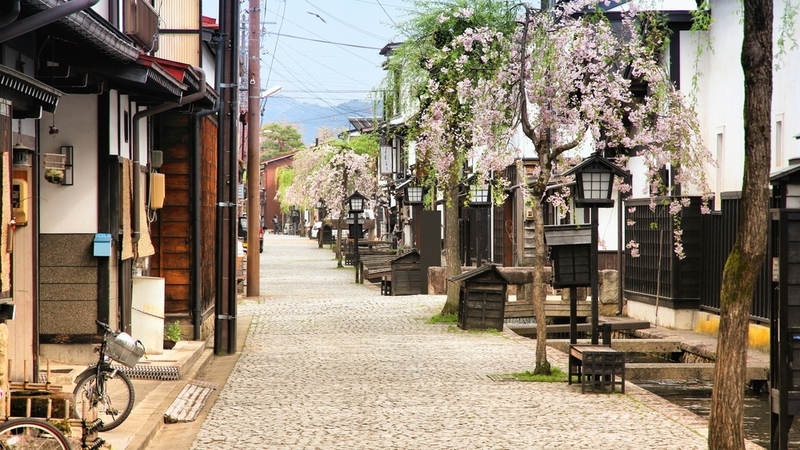 Consequently, the town preserved the old atmosphere of Edo period with its ancient merchant houses. It is registered in the area of conservation of traditional building. 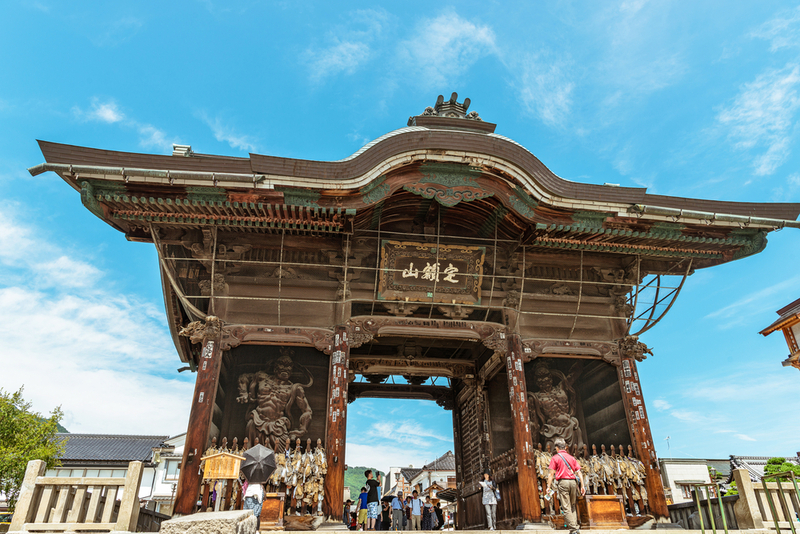 Formerly, Takayama was the starting point for mountaineer who headed for different trails and summits, but its beauty became well-known by word of mouth and it is today a great tourist site. Takayama is a provincial town but it was also a former land that belonged to the shogun Tokugawa, so the cultural asset regarding Edo period is important. The city is adorned with elegance, adding a touch of grace to the landscape. 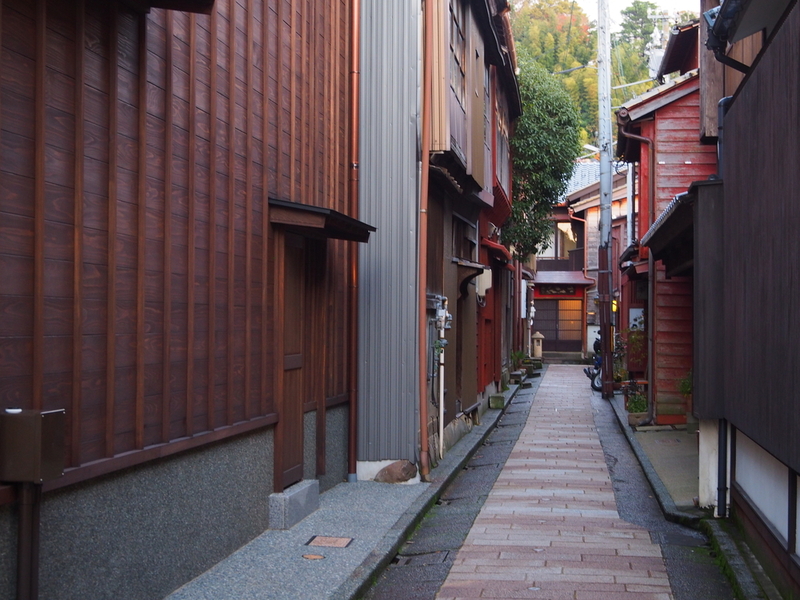 It is also called “little Kyoto” and is nowadays a well-visited site. 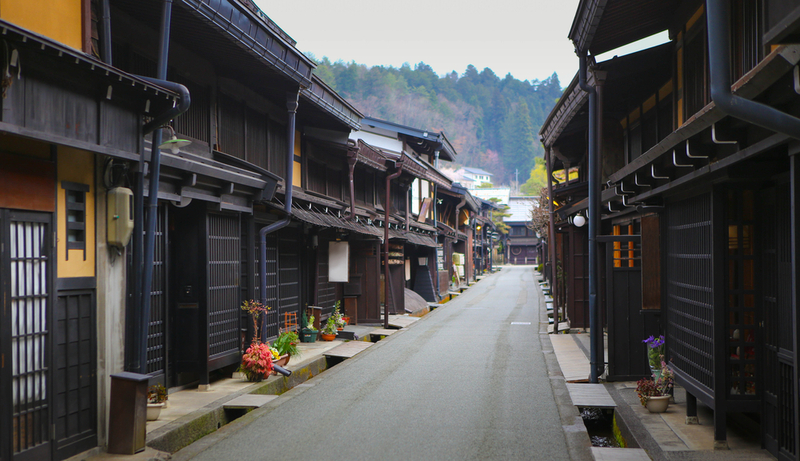 As mentioned above, Takayama preserves the Edo period traditions, having been spared from modern life. 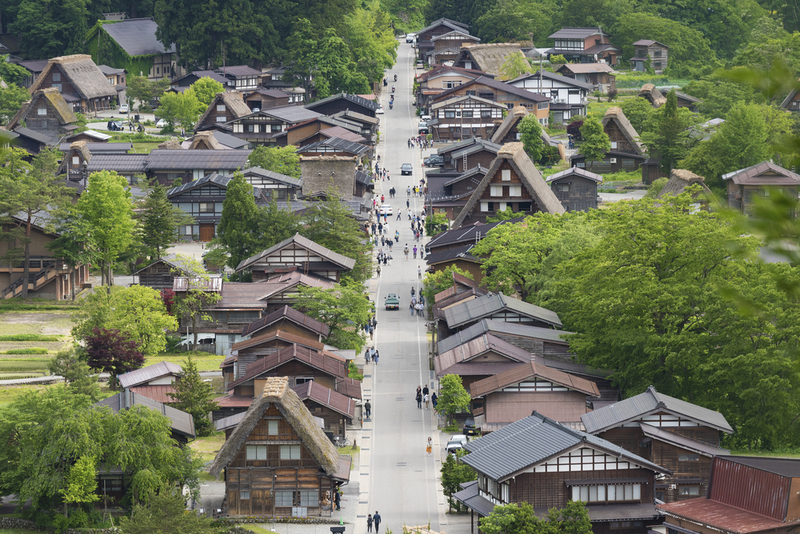 Thanks to the rich natural resources, the Hida region developed the wood processing industry. The craftsmen are named “Hida no Takumi” (Hida’s craftsmen) due to their virtue of technical excellence. They were very pleased and popular in all fields and everytime. Hida pieces of furniture are today well-known worldwide. Pieces of art as “Ichi-i-itto-bori” sculptures and lacquered furnitures named “Shunkei-nuri”confirm their exceptional skills. 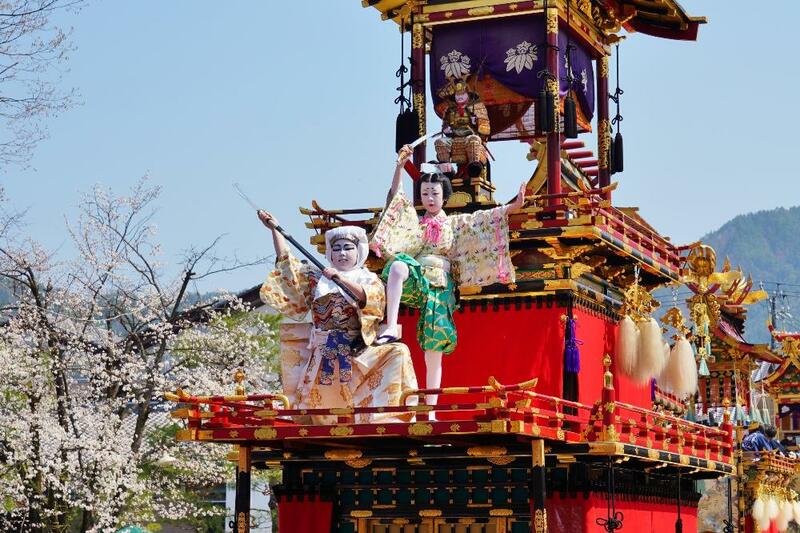 “Hida Takayama Matsuri” festival takes place in spring and summer. You will find plenty of carpentry woodworking demonstration and the making of parade floats (Yatai). Takayama-matsuri is one of the 3 great festivals of Hikiyama including Gion-Matsuri (Kyoto) and Chichibu-Yomatsuri (Saitama). 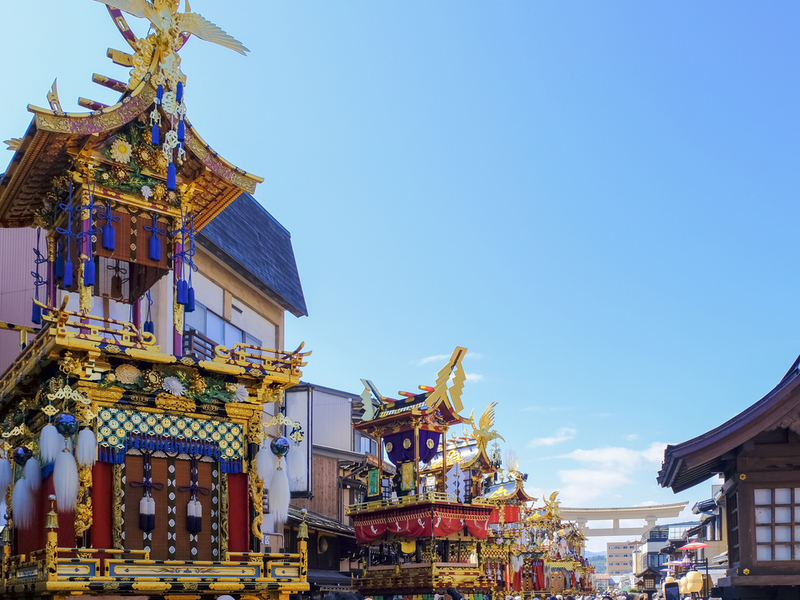 In 2016, it had been registered in the UNESCO immaterial and cultural heritage in the Yama Hoko Gyoji section (japanese festival that includes float parade to pray the god and protect people from natural disaster. These are made thanks to the effort of communities in each town where the parade takes place). A dozen of those parade 2 times a year, and they are all different. Each one has its unique appearance and a very detailed framework. 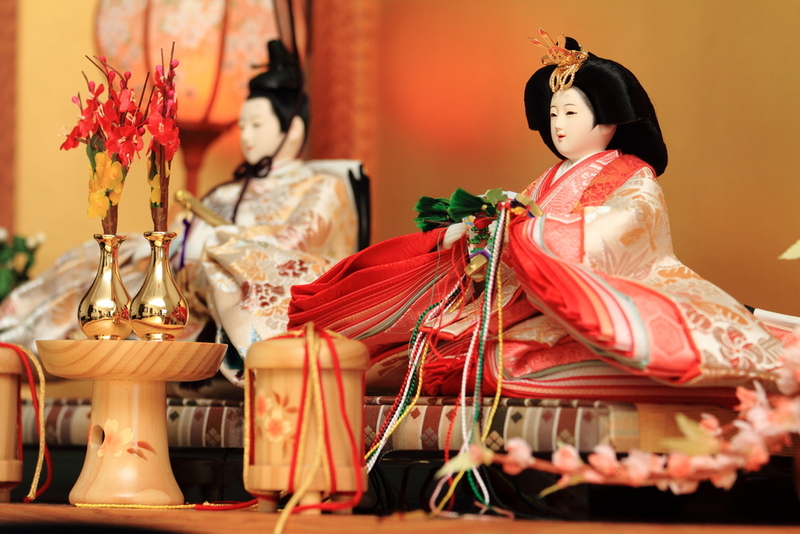 Mechanical dolls are also placed on the float. Because of their beauty and their sharpness, these are called “Ugoku Yomeimon” (beautiful moving Yomei gate). The old floats are preserved in the Takayama matsuri kaikan (Takayama festival center) and it really worth a visit. *Return ticket to Hida-Furukawa included. 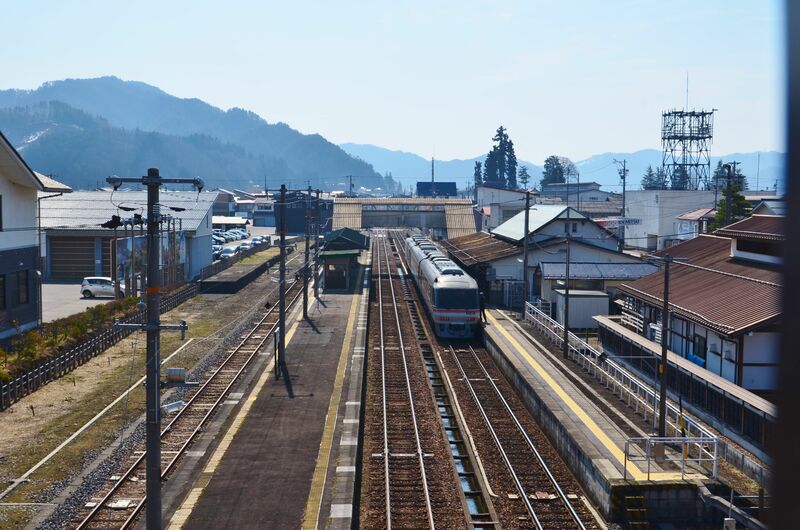 If you take the train from Takayama during 30 minutes to the north, you will arrive to Hida-Furukawa station. 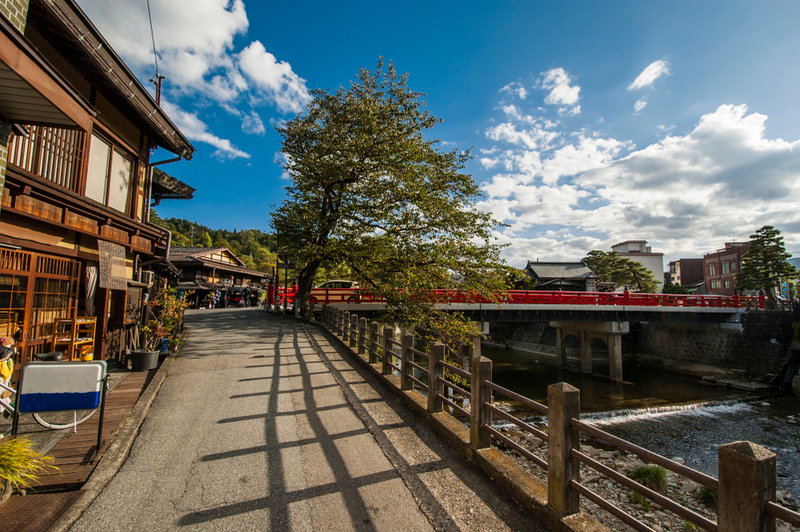 The town of HIda-Furukawa is not big as Takayama, but there is plenty of charmly strolls to enjoy. Due to a fire at the beginning of the XXth century, the old houses have been destroyed, but by means of the reconstruction efforts of the administrative services and every single person, the town was rebuilt with the same ancient atmosphere. They avoided the construction of big hotels and have kept a beautiful and simple style with a perfect harmony. It is highly recommended to stroll around Shirakabe Dozo Gai district, where you will see thousands of carps in a canal surrounded by a beautiful wall called Namako Kabe. For anyone who loves japanese sake, it could be recommended to discover the very good sake of Hida which is made with the natural water that comes from the north of the Japanese alps. 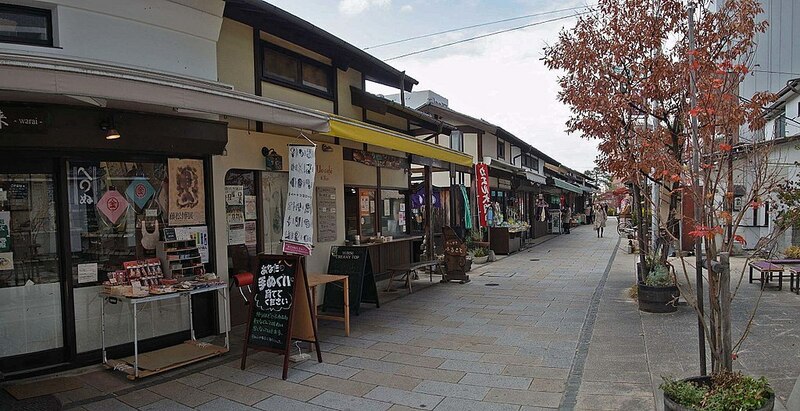 After Takayama has become a well-known destination, HIda-Furukawa was rarely mentioned, but thanks to the success of the animated movie “your name” (Kimi no na wa in Japanese) in 2016 which shows the main station and the town of Furukawa, this place has become really famous. and the town became a very popular touristic site for many fans who love to visit it. Do not hesitate to come and discover the same landscapes as the ones that are drawn in the animated movie ! 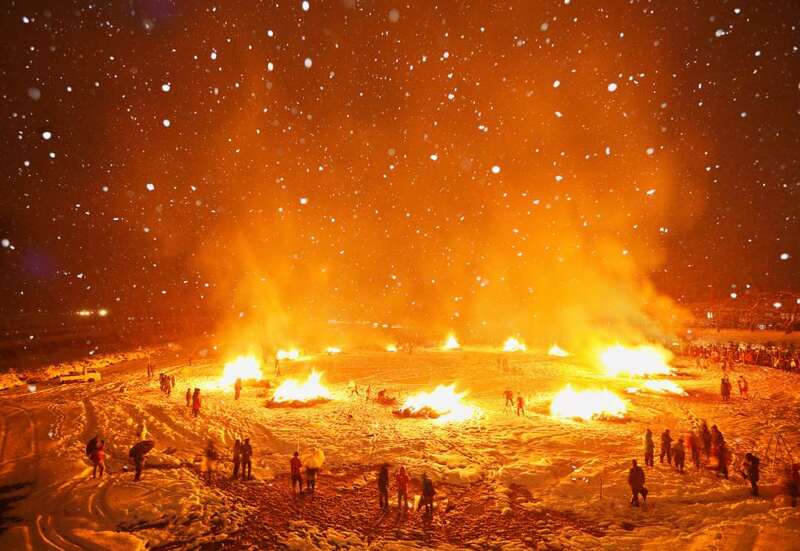 As Takayama festival, Hida-Furukawa festival has been registered on the list of the UNESCO’s immaterial worldwide heritage in 2016 under the name of Yama-Hoko-Yatai gyoji (mountain festivals where floats parades take place). 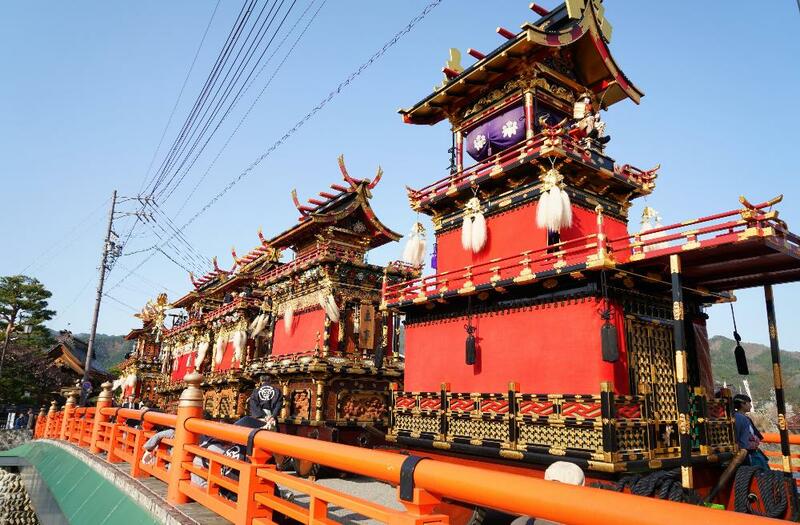 In comparison with the one in Takayama, Furukawa’s floats parade is maybe smaller but is not to be overshadowed so the floats are majestics and luxurious. 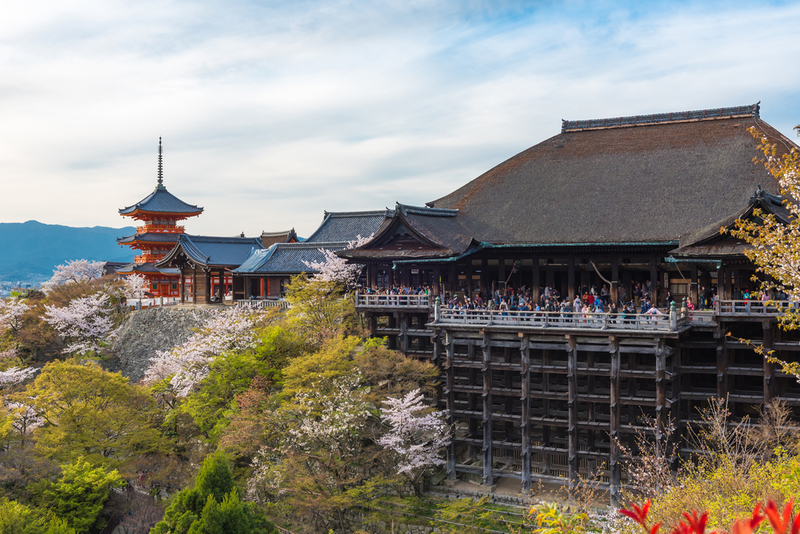 Every 19th and 20th of April, we can admire the festival dedicated to Keta Wakamiya Taisha sanctuary which inspired the drawing of the animated film “Kimi no na wa”. 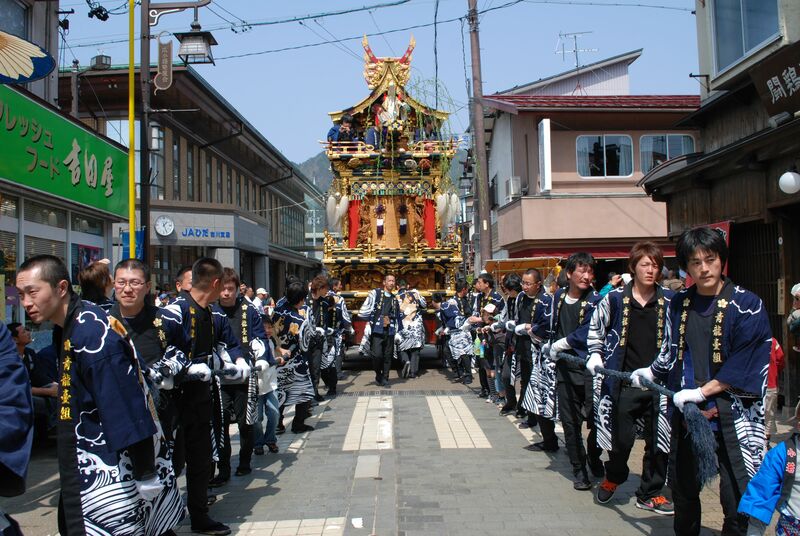 The highlights of this festival take place the first evening during the okoshi-daiko event (which does not exist in Takayama) and the second day when the floats parade in the streets. 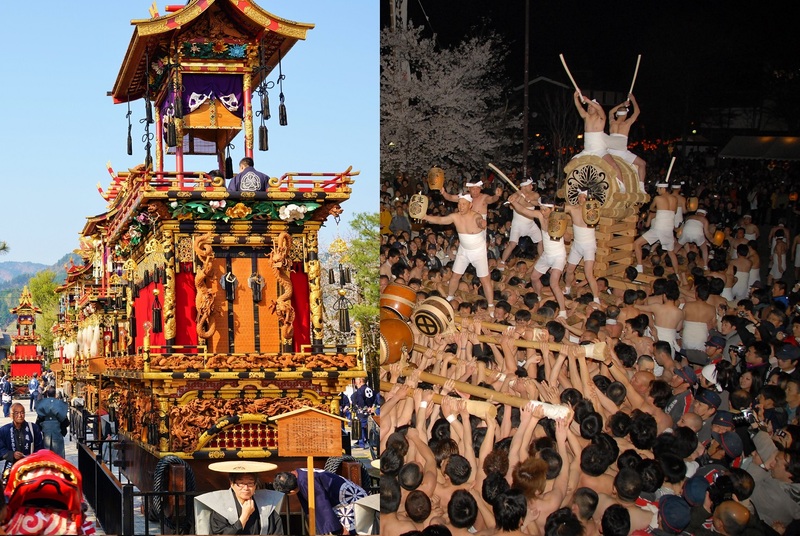 The second day, the most important event is the floats parade, all joining together and lining up (Hiki-soroe). Children wearing costumes play Kabuki (Kodomo Kabuki), and animated puppets stand on the floats, (Karakuri-hono). 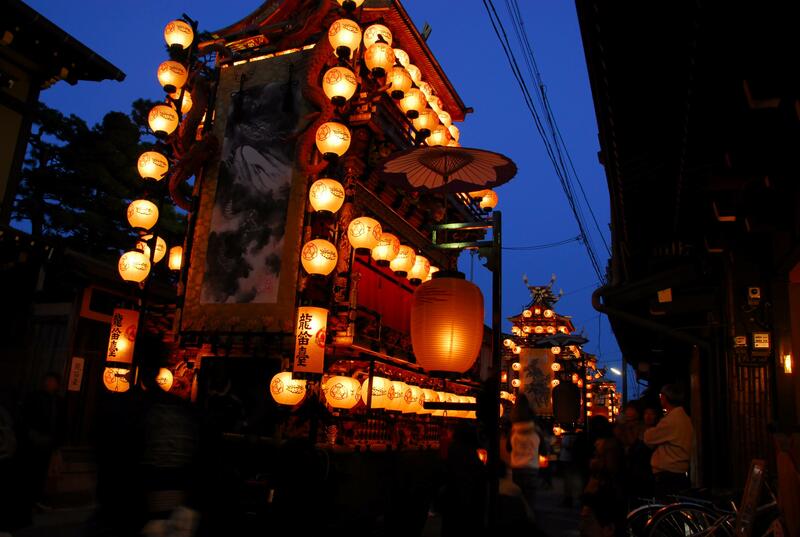 In the evening, the floats decorated with lanterns suddenly appear from the shadow. 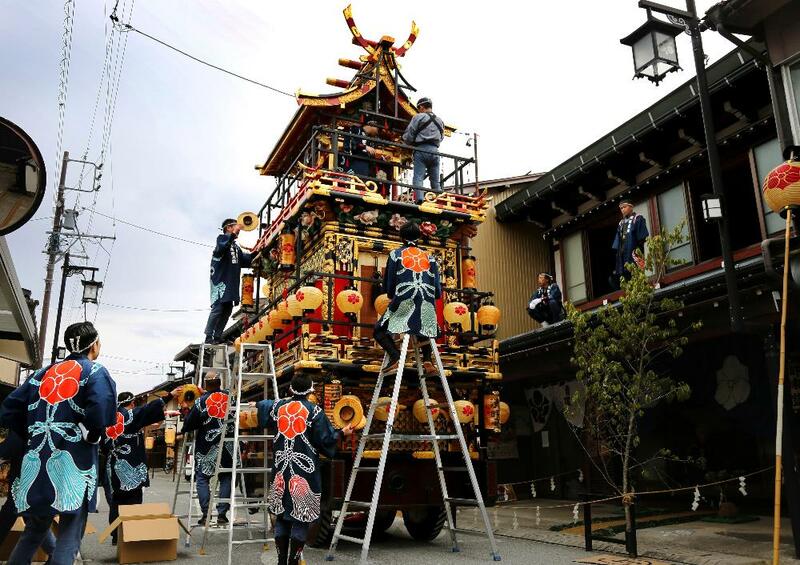 ※Furukawa ‘s floats are considered to be cultural and immaterial heritage of Gifu Prefecture. Notice that during rainy days, the events that take place outside are cancelled to prevent the floats to be damaged. However, the event “Okoshi-daiko” will takes place no matter what the weather is like. In every district, the floats are drag out of their warehouses. Moreover, there are many rituals in the Keta Wakamiya Taisha sanctuary, as the “shishimai”, the lion dance during which dancers wear a big lion costume together and imitate the motions of the animal. There is also the toukeiraku, a traditional music parade. In the afternoon, a small portable temple called Mikoshi is carried in the streets. The floats are brought back to the warehouses before dark but the Mikoshi is carried to an Otabisho, a place that is used as a temporary resting place halfway of the ritual. The main ritual of Furukawa festival takes place on the second day, but the night before is maybe the most excited moment of the entire festival, the Okoshi-Daiko. Okoshi-daiko is called also Mezamashi-daiko (literally “The drum wake-up”) is formerly just a signal of the opening of the festival, when it is played the drum taiko. However, in Furukawa, this moment is so intense that it became a true event in itself. Hundreds of men wearing the fundoshi (traditional underwear) participate to this big show. They are divided in different groups, those who carry the big drum called Oo-daiko and 12 others smalls drums Ko-daiko that are carried by the others who represent each district of the town. This is a violent event where each group try to stay the nearest as possible to the middle where people in charge of the big drums try to push them away. It creates a big rush. This battle attracts and fascinates the public every year. 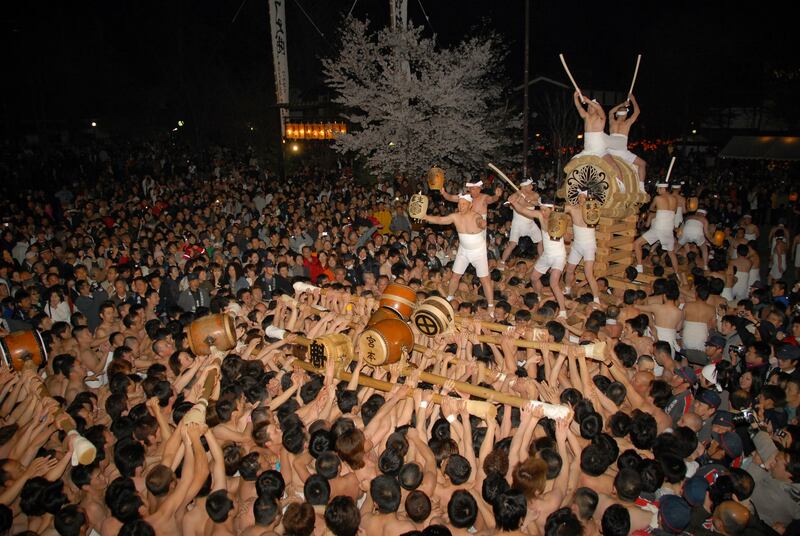 The team in charge of the big drum is selected as random and the other teams are automatically assigned to the tsuke-taiko (small drums). The energy and the intensity of Furukawa’s inhabitants is so strong and famous for a long time that they are named : Furukawa Yancha (an expression that could be translated as an aggressive or rebel attitude). There are always injured people and the small drums had been prohibited more than once; but nowadays, it becomes more a playable event and the festival is named “dispute festival”, kenka matsuri in japanese. The excitement of the different teams (big and small drums teams) is very close to the public and you will be totally immersed in the atmosphere of the festival. This event causes injured people and even if there is special care not to hurt the public, please be careful. Above all, do not miss the incredible performance of the teams in charge of small drums who balance on a 3 meters high stick placed on their abdomen ! After the intensity of the first evening, the atmosphere becomes totally different and the town fills with elegance. During this day, 9 parade floats with height 6 meters join together in the streets. Every float costs about hundred millions of yen and to see these majestics and luxurious floats lining up is a wonderful show. 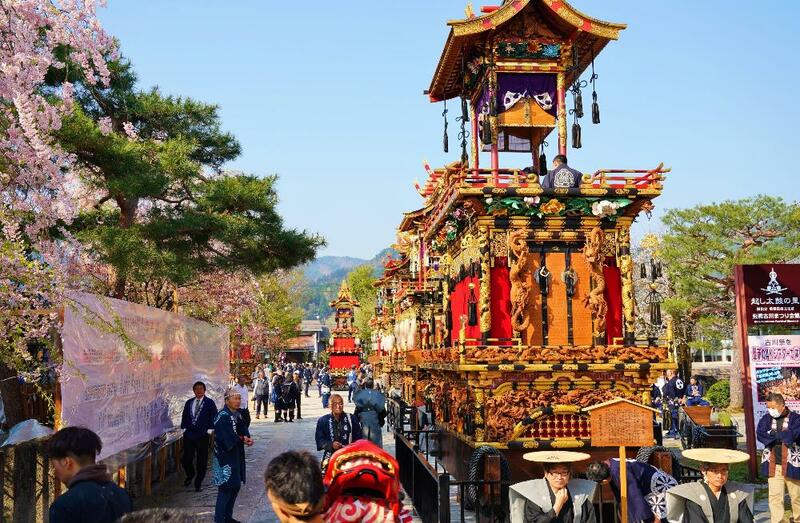 The visitors are charmed by the beauty of the floats decorated in many beautiful ways, and you will understand that those are no less impressives that the ones which parade during Takayama festival. Moreover, you will surely notice the sophisticated skills of Hida craftsmen, Hida no takumi in Japanese, while admiring wood engraving the meticulously done on each one. We could also see a special show of two floats. The first one is called “dragon float and the second one “Kirin float” (a kind of japanese imaginary animal) equipped with a Karakuri puppet (traditional puppet). The floats called “white tiger float” has a small stage on which children who wear costumes play the traditional Kabuki. 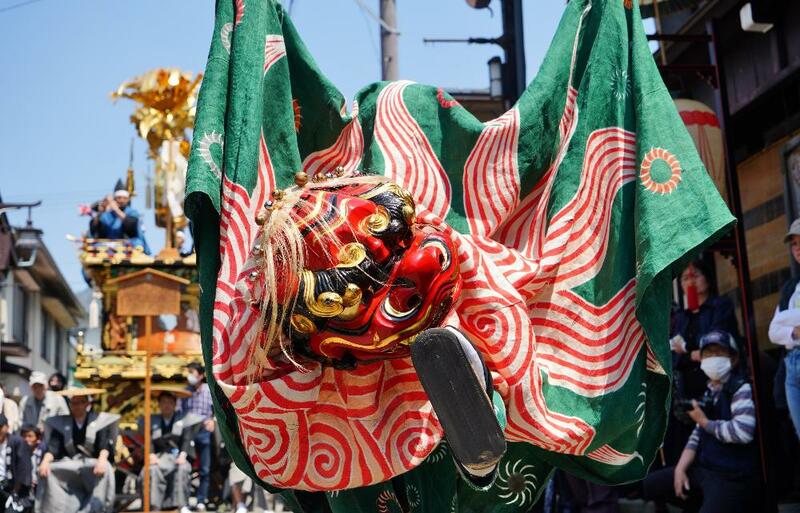 This event is called “Kodomo Kabuki” Moreover, during the same day, you could admire the parade of the portable temple, the Mikoshi, and also the lion danse, shishimai. In the afternoon, the floats are brought back to their warehouses where they are decorated for the night time festival. In the evening, the floats decorated with lanterns parade in the street which is immersed in a totally different atmosphere. Do not hesitate to enjoy it completely. Leaving Takayama city for Shirakawago in the morning by long-distance coach. 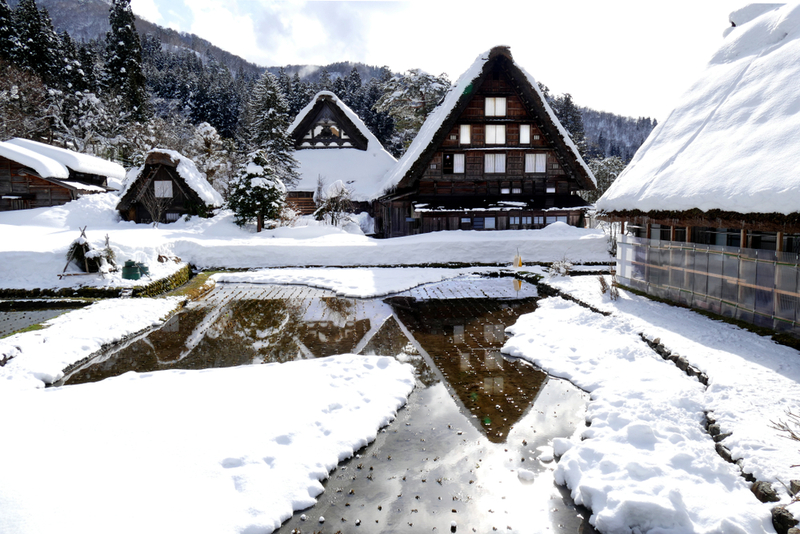 In the region of Hida, Shirakawa-go Ogimachi village in Gifu prefecture, Gokayama Ainokura village and Suganuma village in Toyama prefecture are registered as a UNESCO World Cultural Heritage site. 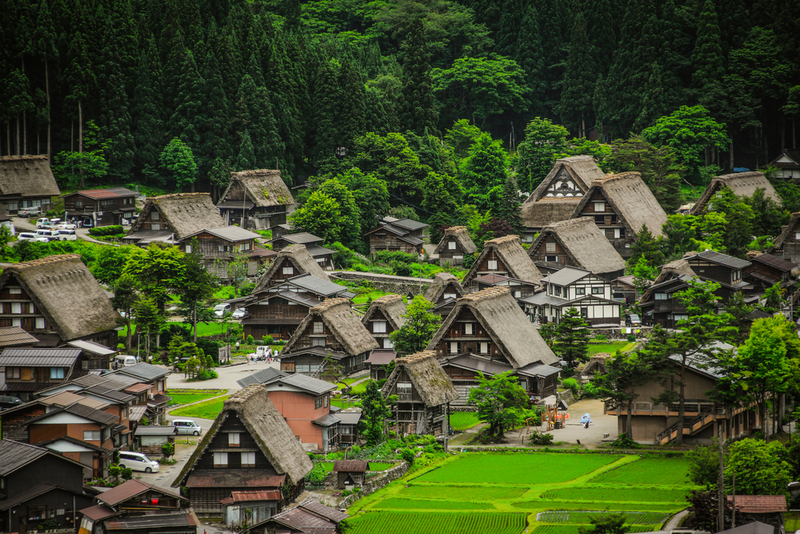 Shirakawa-go is the biggest village among those 3 villages, and it is 2/3 of the World Heritage part, and there are 60 houses in total. In Japanese, it is not simply "the village of the World Heritage", but it is registered under the name of "the village of Gassho style". 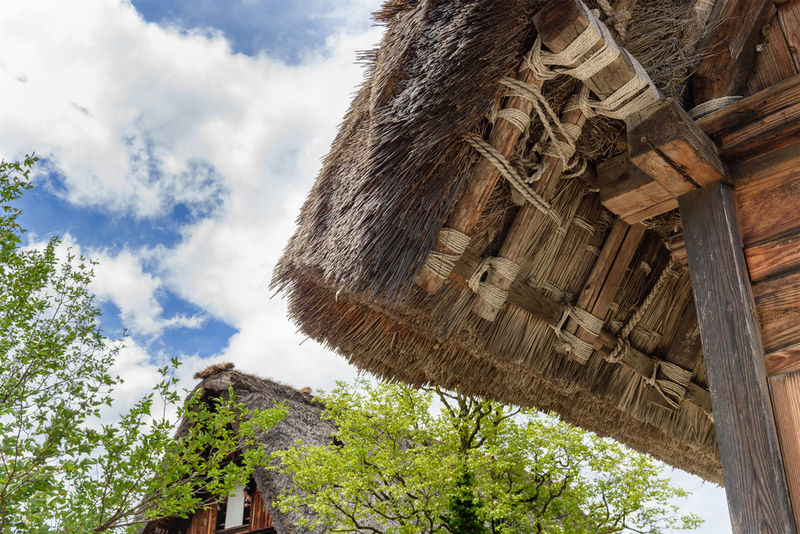 The "Gassho" is the very unique thatched roofs of this region of World Heritage site. Gassho style is one of the Japanese construction style and it is used for heavy snowfall region, and it is built by the combination of the logs alternately, steeply sloaped, thatched roofs that meet a high roof, which looks that "bringing the hands together to pray to the gods" which is "Gassho" in Japanese. The design of the steaply sloaped roof is for that the snow piled up on the roof would easily sliding down. 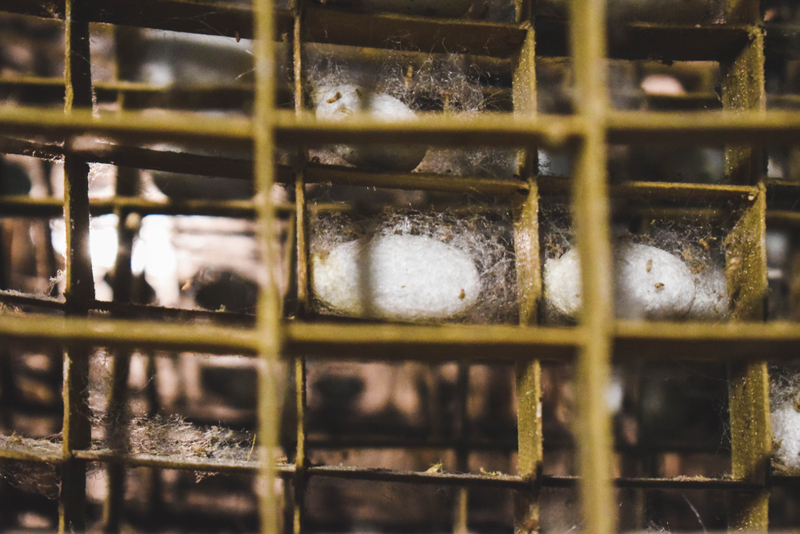 The large garret created by those roofs was used for the shelves to raise silkworms. The sericultural industry is the principal industry in this region. By the development of the sericultural industry, the roof was made higher and steeper to increase the space. The roof is made without one single nail, and it is fixed by ropes but tough and flexible structure. The exposure of the house and the position of the window are fully calculated. This rational style of architecture is made by wisdom of ancestors. 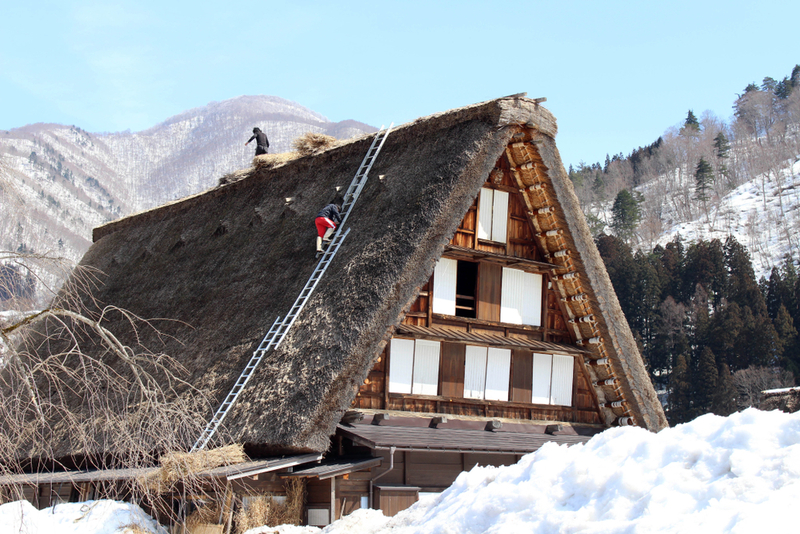 The thatched roof maintains for 30-40years, but it is damaged by wind, rain and snow, so it is necessary to repair one or twice per year. Changing the thatched roof is a great task so that all residents used to come to work together. 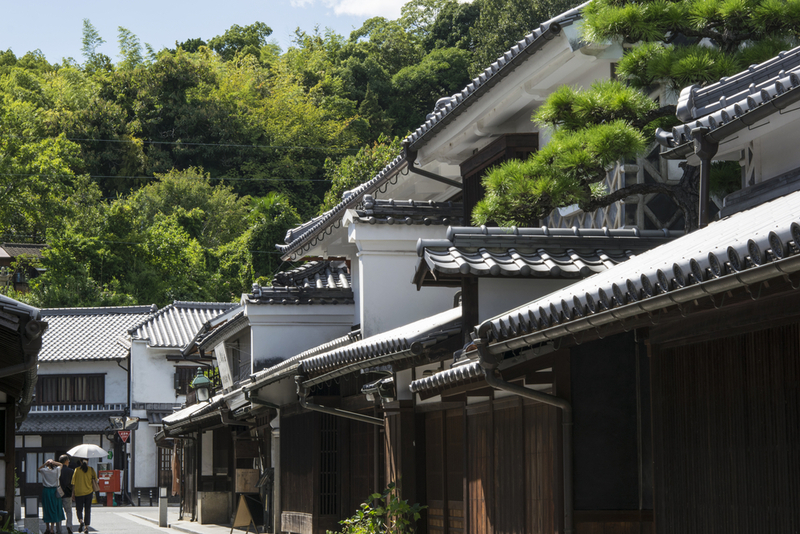 In the end of the 19th century, there were around 2,000 houses of Gassho style, but nevertheless, this style of architecture was exceptional and rare in Japan. without the sufficient transportation facilities, the villages have been isolated from cities, and for this reason, some part of the villages were being maintained until today. 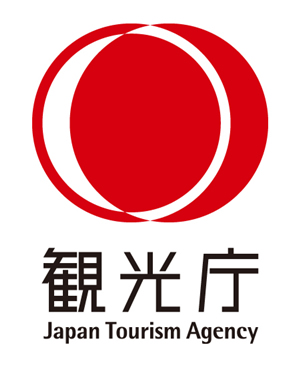 In due course, the actions of concerving the original and unique villages and rural landscape are started inside and outside of the villages, and finally, in 1994, they are registered as the 4th World Cultural Heritage site in Japan. Today, it became a famed tourist spot but as the number of the souvenir stores and restaurants are increased, it is concerned that the original scenery of pastoral and calm mountain villages is vanishing. Arrive at Kanazawa early in the evening. 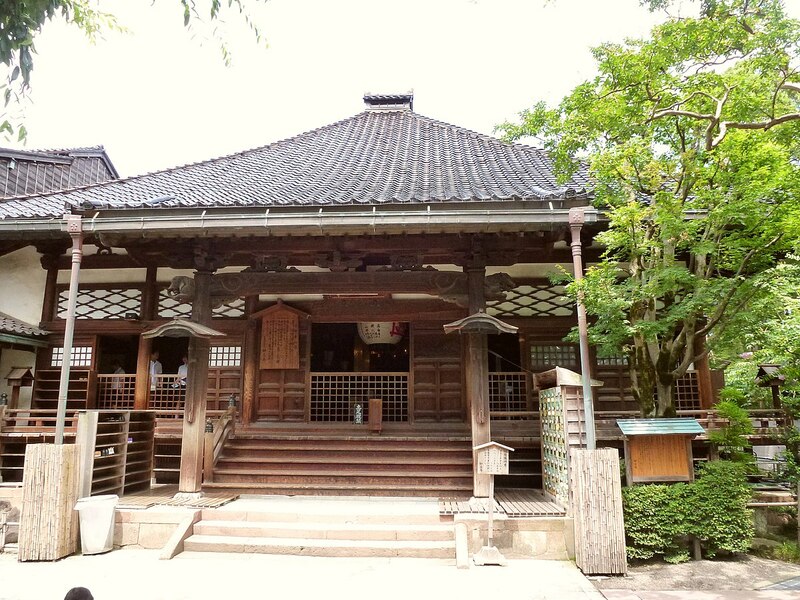 [In the morning] Visits : "Ninja-dera" temple, Nishichayagai district, nagamachi streets( the ancient samouraï residential area), the twon center "Korinbo",Oyama sanctuary, Ômicho market. ※ *One-Day pass for the local bus in the town center of kanazawa, the entrance to "Ninja-dera" included in the tour price. Kanazawa is the capital of the prefecture Ishikawa in Hokuriku region, and it has been developped as a castle town of the biggest daimyo (feudal lord) in Edo period, and its population was big after 3cities as Tokyo, Osaka and Kyoto. Known as "Kaga Hyakuman koku" (the wealthy Kaga Domain with a net worth of 1 million koku of rice), people and feudal lords admired its prosperity and even though the city is out from principal roades, the original graceful city has been founded. Kaga has not been involved and damaged by wars, and by the Second World War, the classic and charming beauty remains. Moreover, successive lords of the Domain encouraged the cultural activities, various traditional cultures are succeded until today. 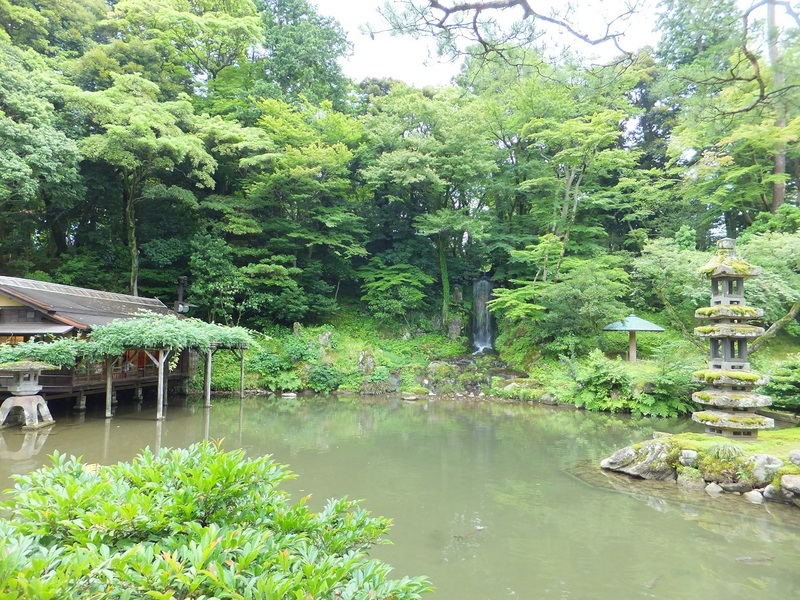 Kenroku-en is known as one of the 3 best parks in Japan, a circuit style garden classed 3-star in the Michelin guide. In each season, the park shows beautiful various beauty; the cherry blossom in spring, fresh green leaves in summer, red and yellow leaves in autumn, and Yukitsuri in winter (the technique for the protection of the trees for avoiding snow damage) and off course, a variety of flowers are worth to see in the garden. 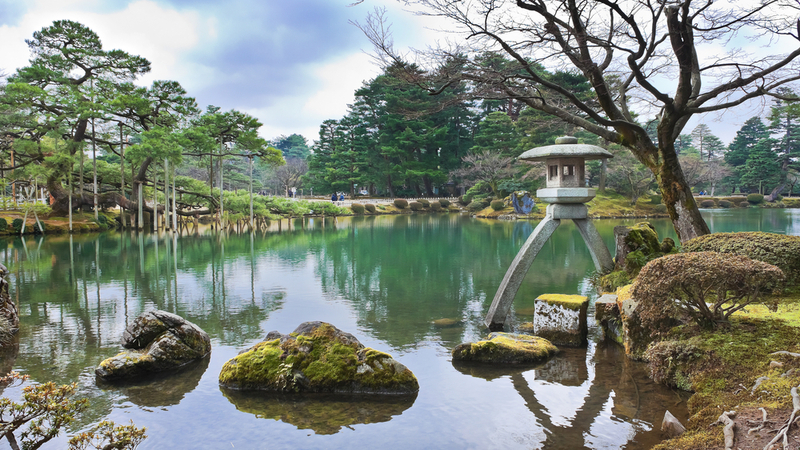 Kenroku-en belongs to the Kanazawa castle, and it is located in a low hill, but there are many ponds and the warterways, trees and objets d'art make a magnificent harmony in the garden. This museum features the contemporary arts after 1980 and the up-and coming artists' artworks are on exhibition. As they are contemporary arts, perhaps the name of artists are not yet famous, but they will be well known, so that this is the investiments for the future. 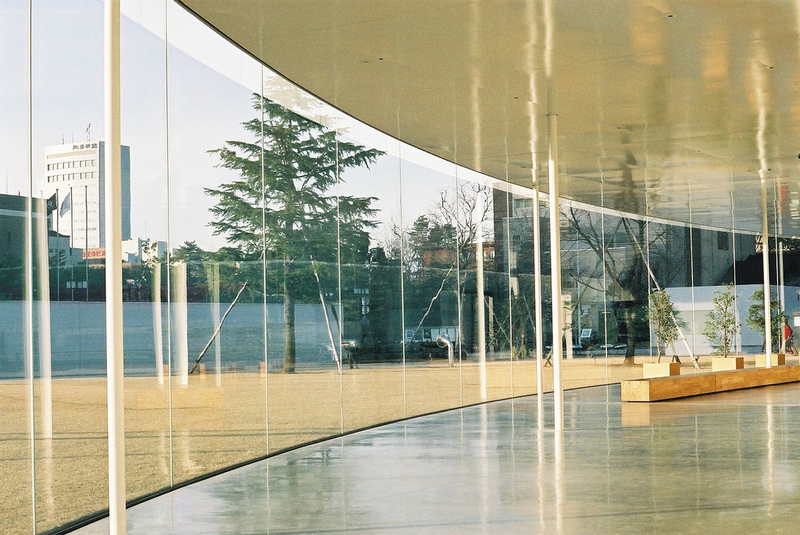 For example, the unit of the architects SAANA who won the Golden Lion prize for the most significant work in the international architecture exhibition of the Venice Biennale constructed the unique circular design and elegant galleries one floor under ground and one floor above ground. Now SANAA is in charge of the design for the renovation of the old department store in Paris, La Samaritaine de Paris. Myoryuji is the official name of this temple, but it is called as the Ninja Temple because of many trap doors and secret passageways inside. The temple has no relation with the historical ninja who spies and assasins, but this architecture has been made because of the history of the domain of Kaga. The domain of Kaga was called as "Kaga Hyakuman koku" (the wealthy Kaga Domain with a net worth of 1 million koku of rice), and the very wealthy and powerful feudral clan so that they have been watched out by the central gouvernment the Tokugawa Shogunate. However, they could not officialy protect them by the gouvernement, so that they built the temple with fully function of protection secretly for the emergency of atacks. The visit tour must be pre-booked in advance, and the guide will show you the traps inside of the temple. Without beein involved into the wars, this region maintains classic and peaceful streets of Edo period unti today. They have been influenced by the elegant culture of Kyoto because of the location, and the entertainment district with luxury restaurants with Maiko and Geisha was developped along the river Saigawa. 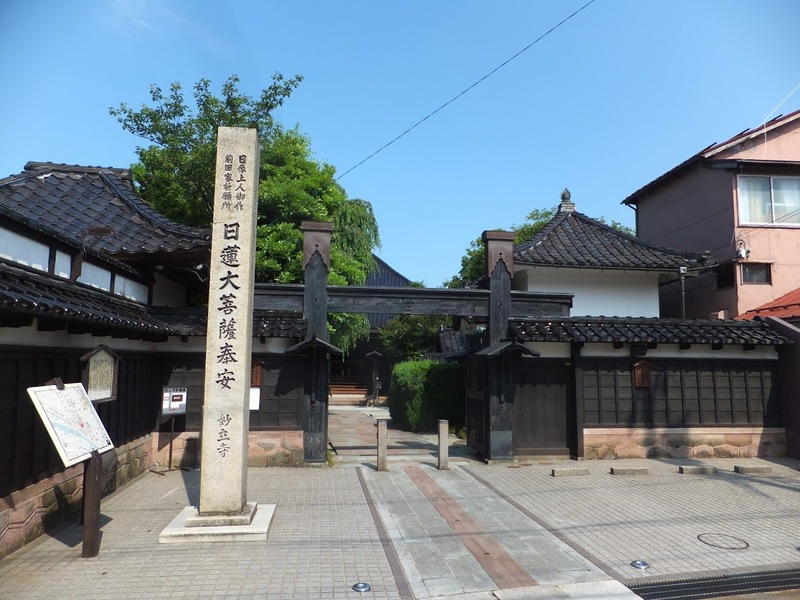 Especially, Higashi Chaya District and Kazue-machi Chaya District are designated as the Nation's Preservation District for Groups of Historic Buildings. 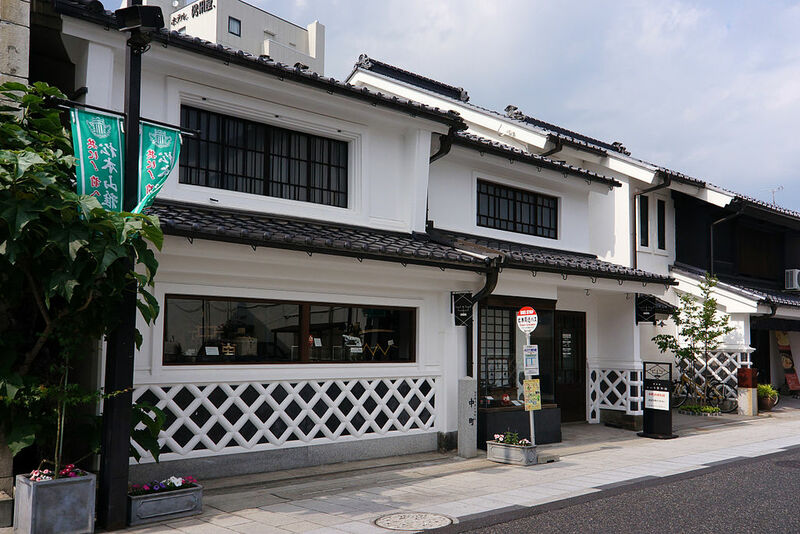 And in Nagamachi, the beautiful earthen walls of upper and middle classes samurai's residences and pavements will drive you in the ancient classical period. Seison-kaku is specified in the Nation's Important Cultural Properties and built in 1863, in the transition period from Edo to Meiji, very turbulent time of Japan. It is built by the lord of Kaga for the retirement of his mother, so that we can find his careful attention for the parent in the elegance of the construction. The ground floor is buit in Shoinzukuri style (the traditional style of Japanese residential architecture) of feudal lord, and the 1st flor is in the style of Sukiyazukuri which is based of a Japanese tea ceremony building. Each room has been decorated in own theme. We can find the modern oxidental touch which was very modern at that time into the traditional construction and these aspects make the special charm of the building. 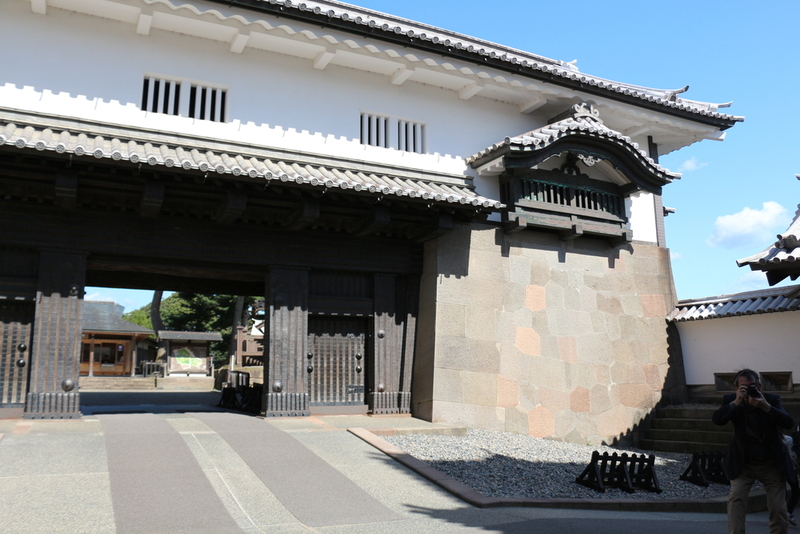 The Kanazawa castle is the residence of Kaga Domain "Kaga Hyakuman koku" (the wealthy Kaga Domain with a net worth of 1 million koku of rice), the family of Maeda. What we see today is the renovated one in the end of 20th century, and the most of the original part of the castle has been burnt in the end of 18th century. In 19th century, it was used as military facilities of the army, and it was used as the campus of the university after the Second World War. The main building of the castle is not restored, but the central raised platform and the main gate, and positions and constructions of the facilities are historicaly re-produced. Especially the technique of stone walls are very high and you can find the stone walls of different style and different period, so that this castle is also called as "the museum of stone walls". [In the morning] Departure from kanazawa. 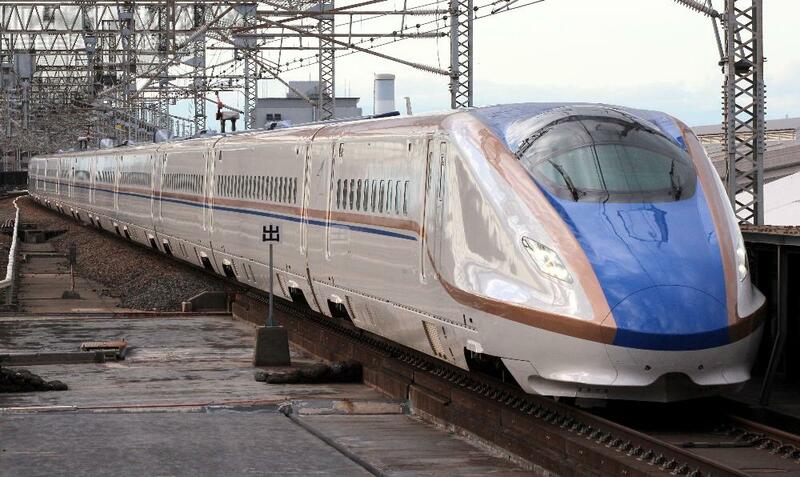 We will travel from Kanazawa to Kyoto by taking the "Thunder bird" limited express. It takes about 2 hours and a few minutes. Sanjusangendo, Kiyomizu temple, the Yasaka sanctuary, the Gion district, the Shijo Kawaramachi district etc. *The entrances in each temple are not included in the tour price. The tour ends in Kyoto. We wish you a nice stay. *You have the possibility to extend your stay in Kyoto. Do not hesitate to contact us in the extra space on the booking page. 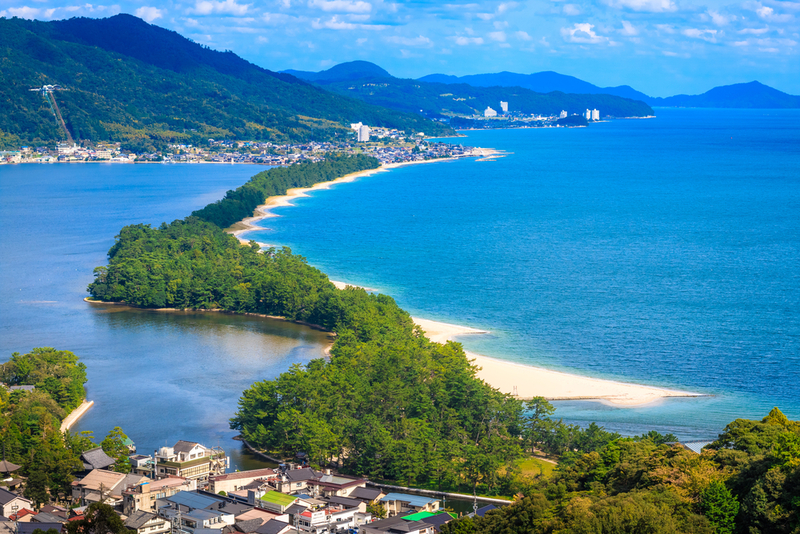 Ama-no-hashidate, located north of Kyoto, is one of the most famous view of Japan that you can admire from Kasamatsu park reachable by a cable car. You could admire a 3,6 kilometers long tombolo, covered by more than 8000 pines forest. This natural bridge provide a peaceful and pleasant stroll. The tombolo is called also the “bridge of the sky” because if we look at it,head down between our legs, it seems to be that way. Do not miss the visit of Chion-ji, the wisdom temple built in 808, and Nariaiji, located on the top of the mountain, near Kasamatsu park. As mount Koya, Mount Hiei is one of the most sacred places in Japan, registered in the UNESCO world heritage, it is the birthplace of Tendai buddhism where stands, since the VIIIth century, Enryaku-ji temple at its top. 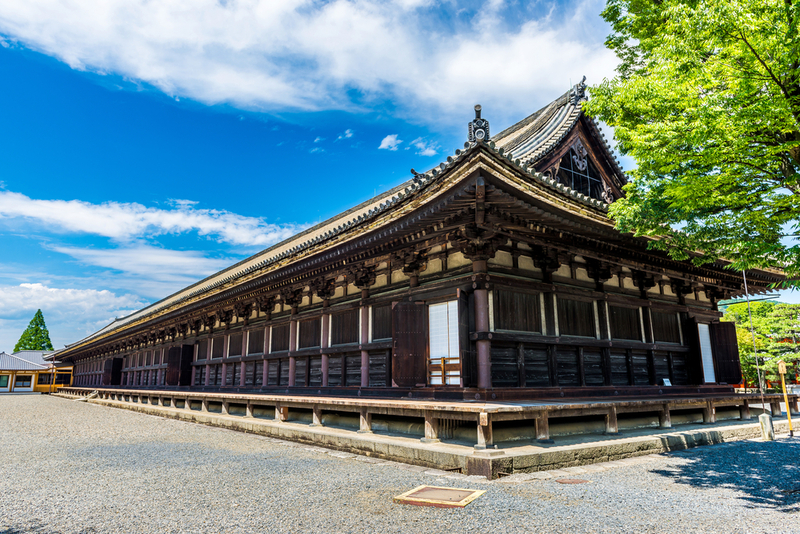 The temple has been almost completely destroyed by the daimyo Oda Nobunaga and his army in the 16th century but it has been rebuilt during the Edo period. It says that there were 3 000 temples here before the 16th century. The most ancient part of the temple is the Todo part situated on the east. You could access the site by a beautiful hike in the forest among majestic sceneries of red and yellow tree leaves in autumn, or wonderful flora colors in spring. 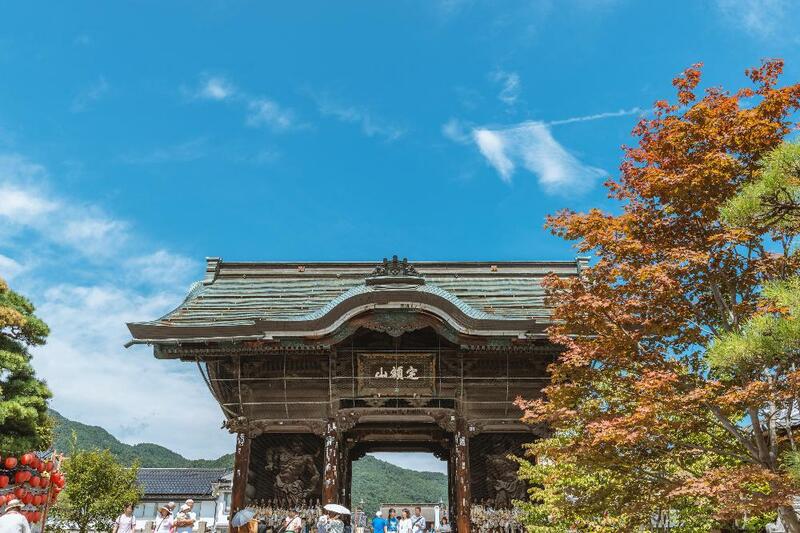 Perhaps you know Arashiyama, a Kyoto natural area, famous well known for its bamboo grove and its monkey park, not to mention the large number of temples and shrines that stand here ? You should know that in Sagano, it is possible to take a small picturesque train and cross the mountainous area and the stunning scenery near Kyoto. 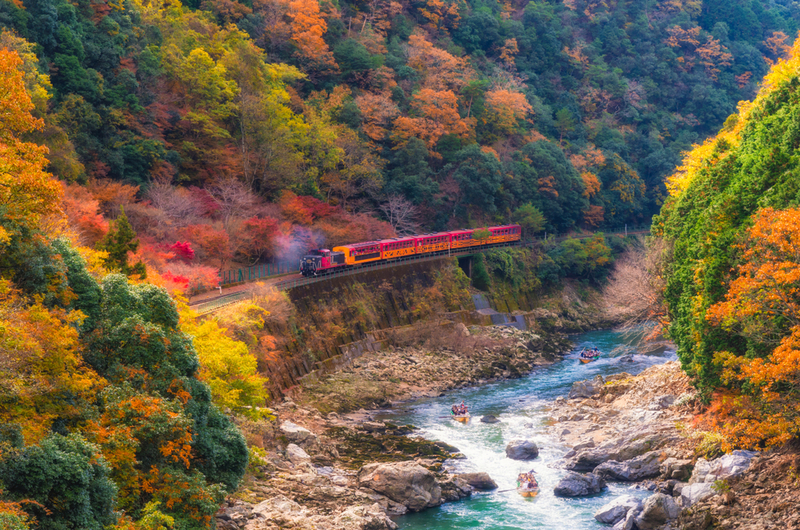 Torokko train alias “romantic train” wears its name well, traveling along the Hozugawa river in a beautiful valley. Moreover, it is possible and recommended to take a boat down to the river. 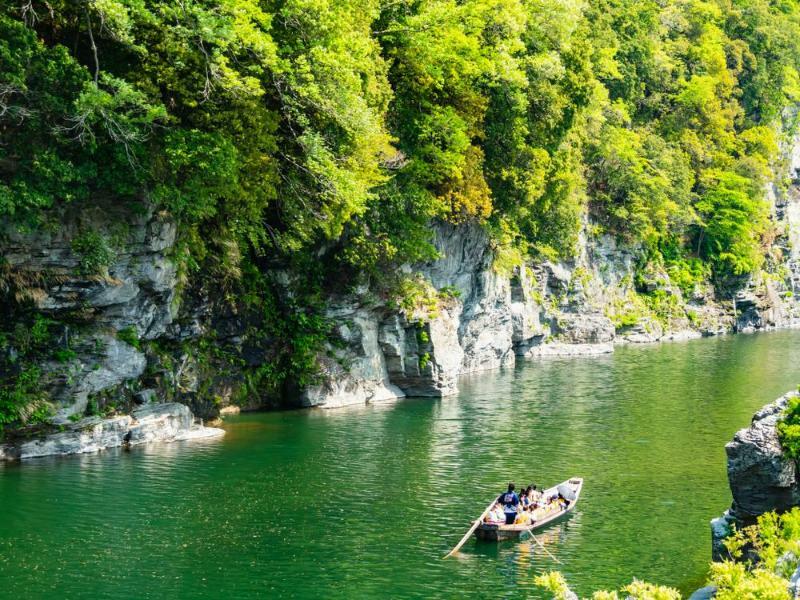 From Kameoka station, the Torokko train terminal, you could board a small wooden boat to sail over 16 kilometers to Arashiyama, crossing the rapids and stunning sceneries, a very fun and playable activity to enjoy ! We need a minimum of 4 people for this tour to start. In the case of individual bookings, it will be confirmed once the participant number sufficient. The tour operator reserves the right to cancel the excursion 30 days before departure date if the number of participants is not sufficient. In case of traffic congestion or any other uncontrollable reasons that affect the tour schedule and lead to delay in time, schedule change or visit cancellation etc., our company will not take any responsibility, please be noted in advance. The price is per person based on the booking of a double or a twin room. All the bookings must be confirmed not later than 30 days before departure. Small group tour. Maximum 8 people. Travel to Japan means also the discovery of a fascinating and a varied cuisine. That is why, sometimes during the trip, you will have freetimes at noon or in the evening to enjoy a wide range of restaurants. You will be surprised by the large number of restaurants in Japan, and their attractive prices. Please refer to “Meal”. Your main luggage will be transferred from hotel to hotel every two or three days and it is highly recommended to carry a backpack or a handbag with you personal belongings. Please refer to “Transfer of your luggage”. A moderate amount of walking is involved ; please wear comfortable walking shoes. Each itinerary includes some free times. You will enjoy a wide range of sightseeing on your own. Please notice that there will be no transportation during free times. All the payments made during free times are at your own expense. Please expect an additional price if you are traveling alone. Most of the Ryokan doesn’t have single rooms. *Exception: Shukubo style at Zenko-ji couldn't be classified with stars. *Tour price for children is available. The tour price for the groupe who share the rooms by more than 3 peaple can be also negotiable.Please ask us about further information on the booking form. The transports, the entrance fees and the activities not mentioned in the itinerary. *Please ask us for the extra nights before or/and after the tour.